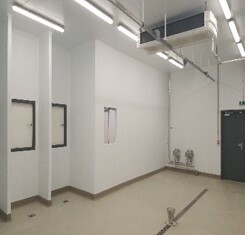 Having previously worked with Taste Tech Limited on a confectionery laboratory, we were delighted to be working with them again on their new hygienic bakery. As a research and development company, Taste Tech needed a bakery in which to test a range of performance-enhancing solutions. 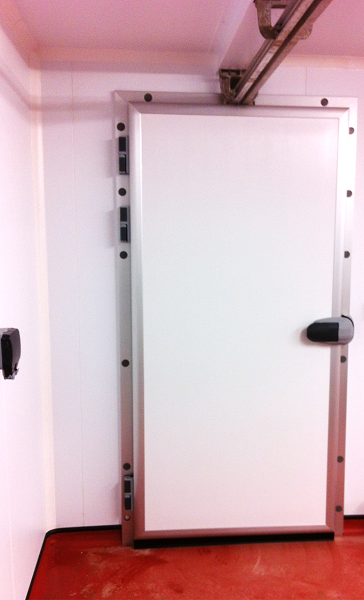 The food-safe panel finish enables them to keep the environment hygienic. 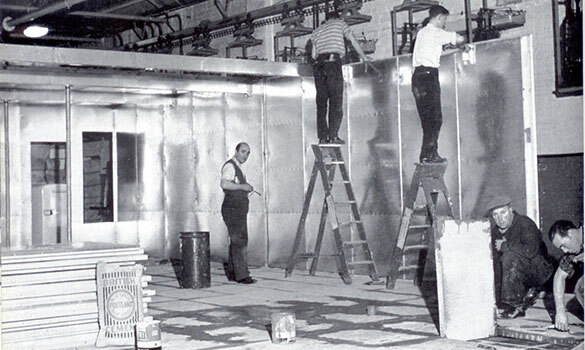 Flour is highly explosive so Taste Tech also required a 1-hour fire rating for the panels and air ventilation systems. 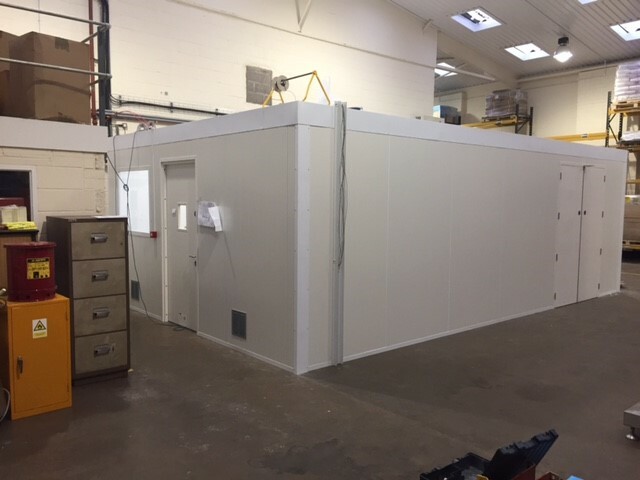 A 1-hour fire rated hygienic room measuring 5.00m x 8.00m x 2.70m high using Eurobond mineral fibre cored panel with a food-safe polyester finish. 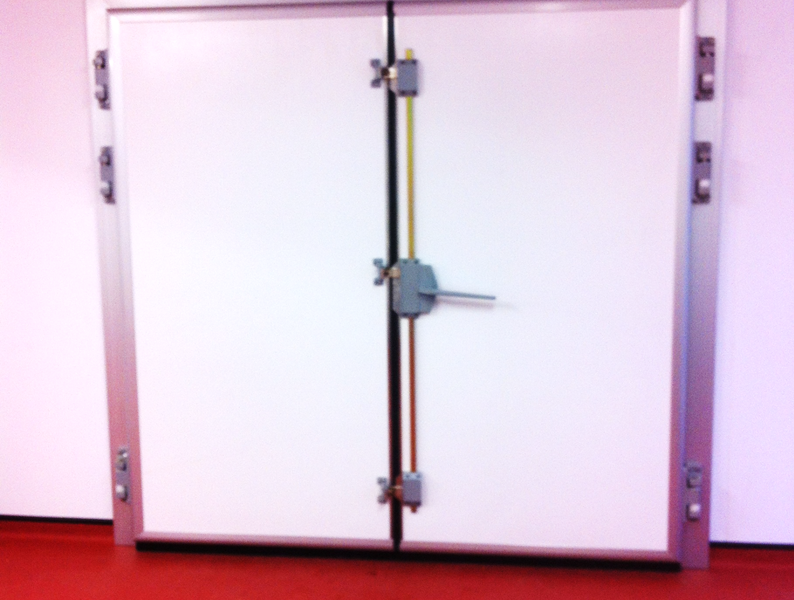 Two fire rated hinged personnel doors and a vision panel. 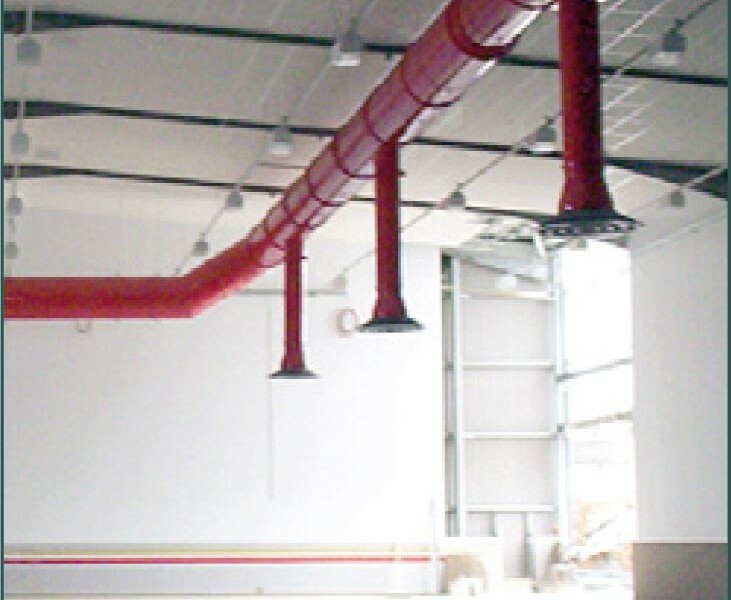 Two in-tumescent air transfer vents. We completed the project on schedule and will be working with the client on a new project shortly. 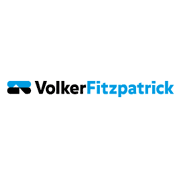 We were very happy with the work you did for us, in fact we have already recommended your services! 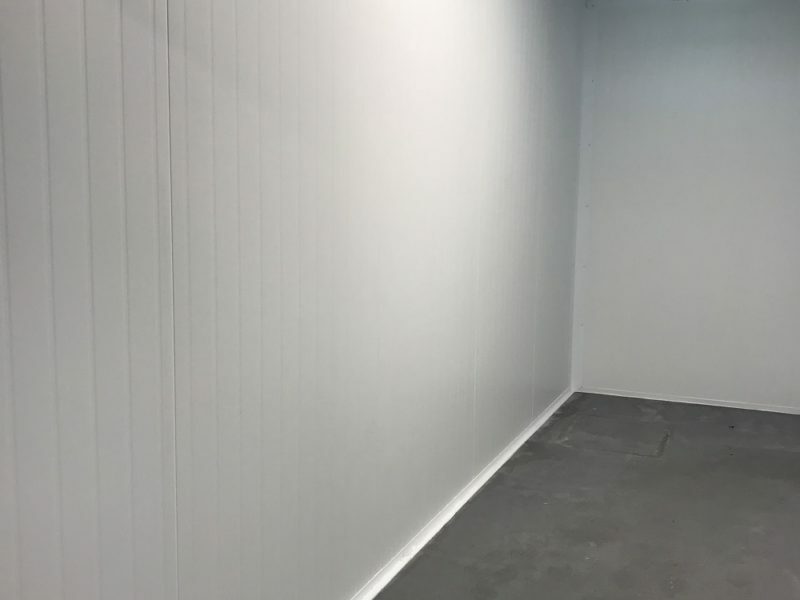 John Sheppard Butchers, a fresh meat supplier of over 60 years, constructed an extension using vacant space between their two existing buildings on site in Bristol. 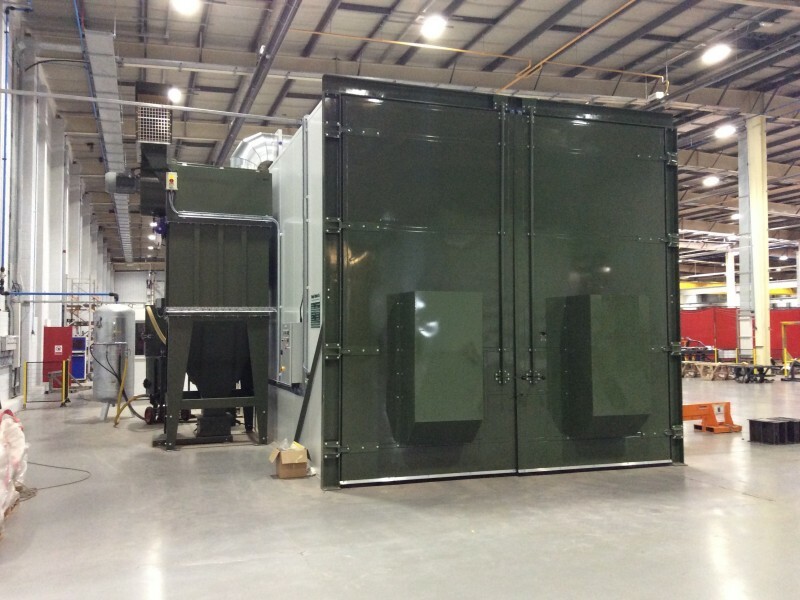 They required an additional three chillers within it for storage of their products. 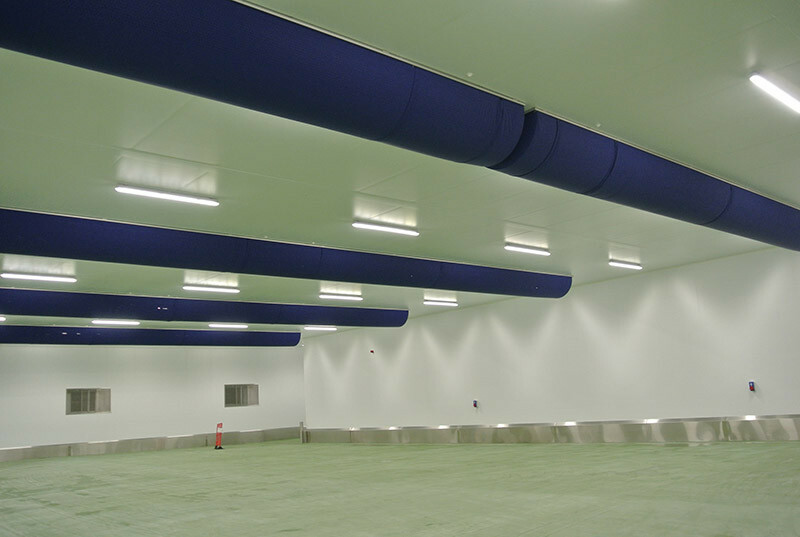 Using our decades of experience within the food & drink industry, Stancold worked closely with the appointed architect to carefully develop the design of chilled storage units. 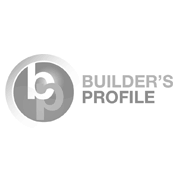 Through thorough site surveys, we were able to provide advice on the most suitable materials for the build. 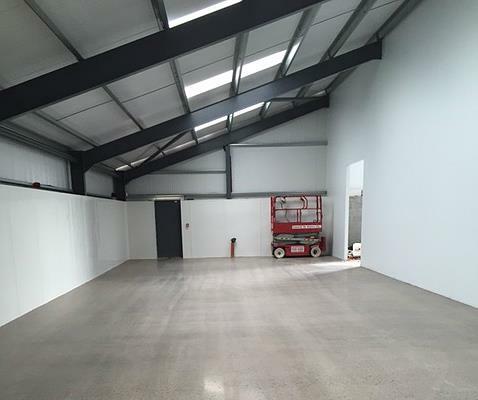 Our work following the installation of a resin floor by others and concluded all the construction elements of the new-build extension. 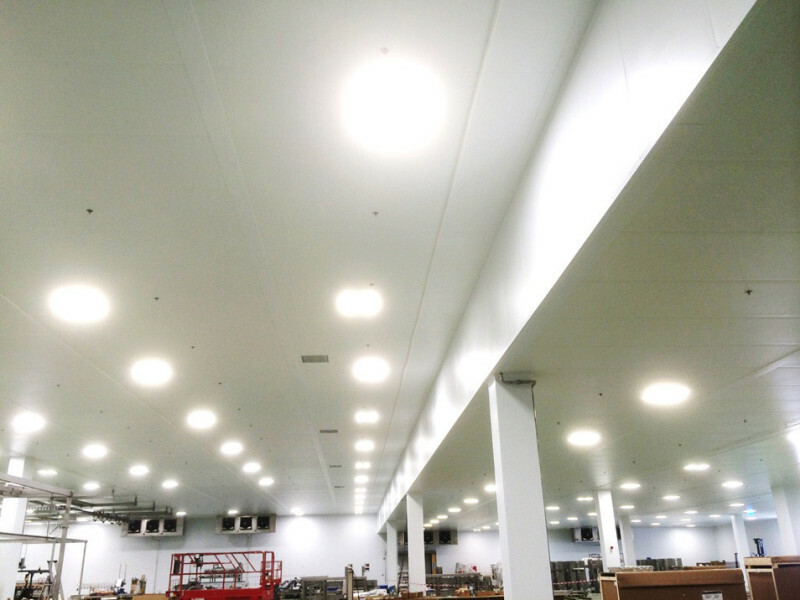 Stancold successfully supplied and installed 685m² of Kingspan Quadcore insulated panels to form three food-safe chill stores. 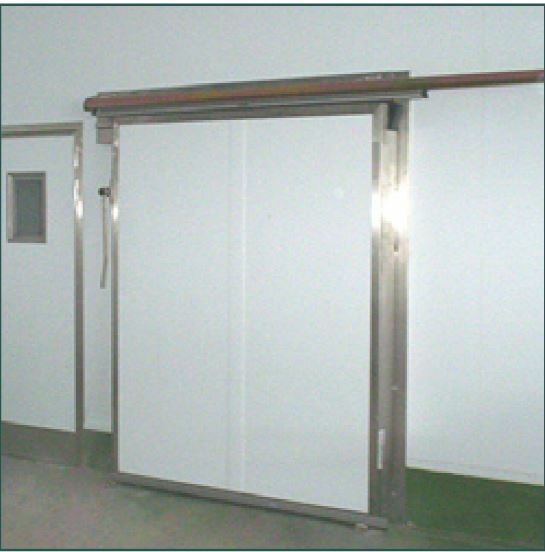 This was accompanied by hinged and sliding chiller doors, a single hinged personnel door and a one-hour fire-rated personnel door. 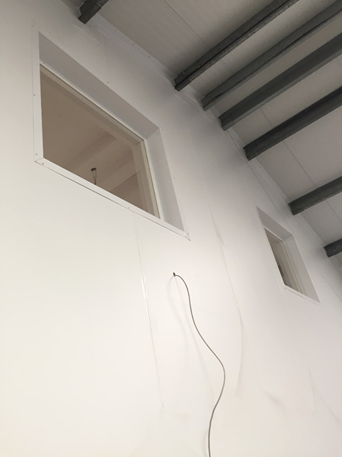 In order to separate the office space above from the new production area, the team also installed a one-hour fire-rated ceiling using Eurobond Mineral Fibre 100mm panels. 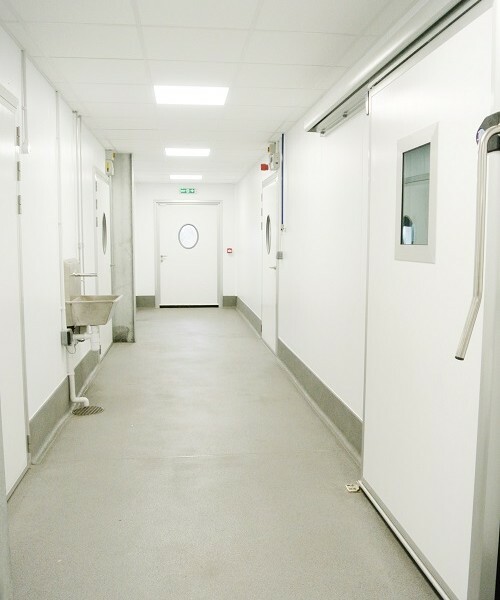 This was yet another project where Stancold demonstrated superior technical and industry knowledge to create a custom-fitted hygienic facility. 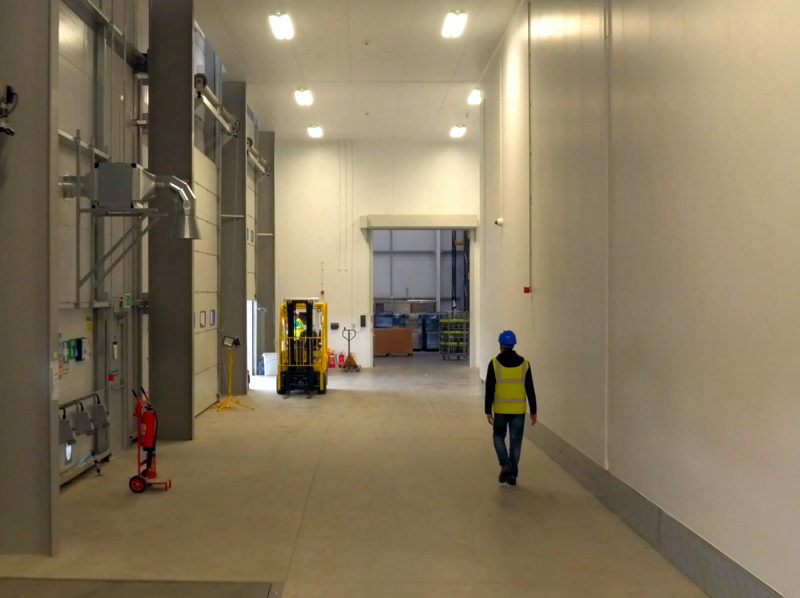 Stancold have a long-standing relationship with both Glencar Construction and the end user, Ocado, where we have previously supplied and installed cold storage facilities on site. 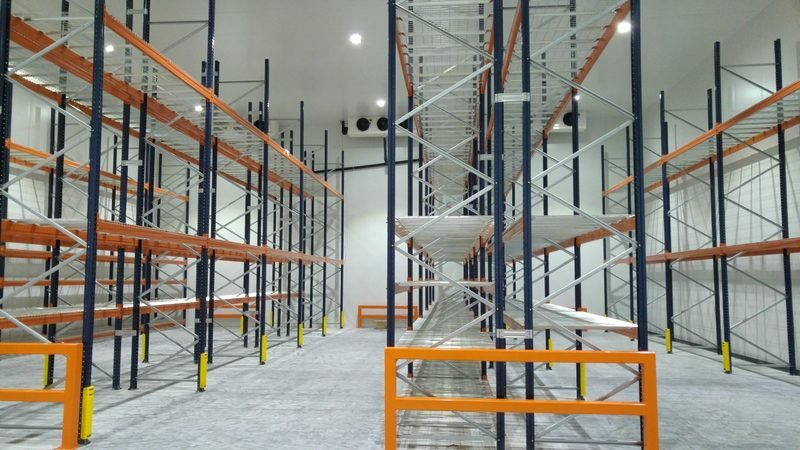 Working with Glencar throughout the tendering process, Stancold were able to produce detailed design plans to carry out the installation of a new cold storage unit for Ocado’s home delivery service. 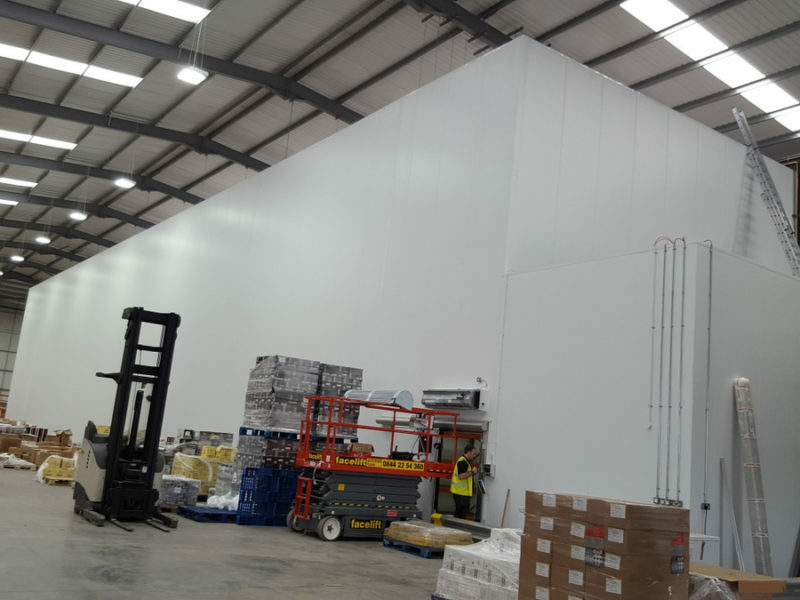 Stancold installed a hygienic chilled storage facility with Kingspan Quadcore panels, using 150mm for ceiling construction and 125mm for the food-safe walls. 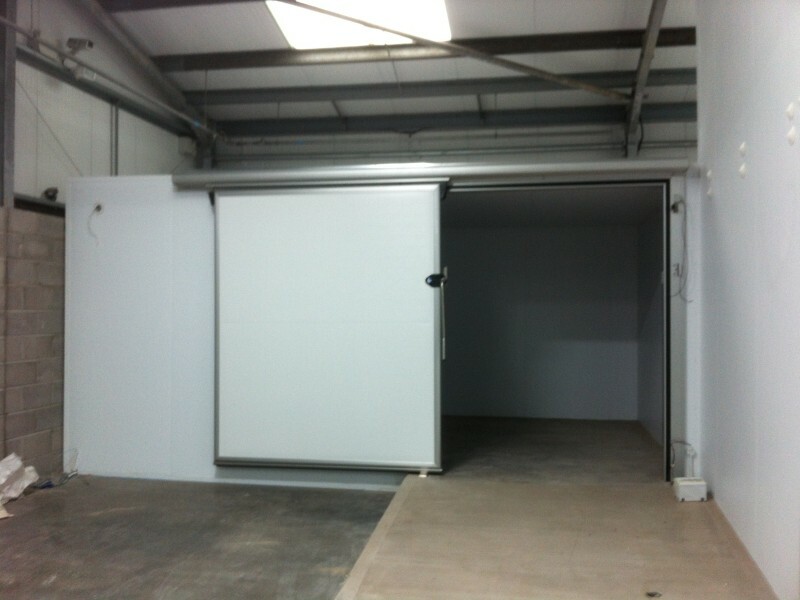 A number of hinged and auto sliding chiller doors were also integrated for quick access into and out of the unit. 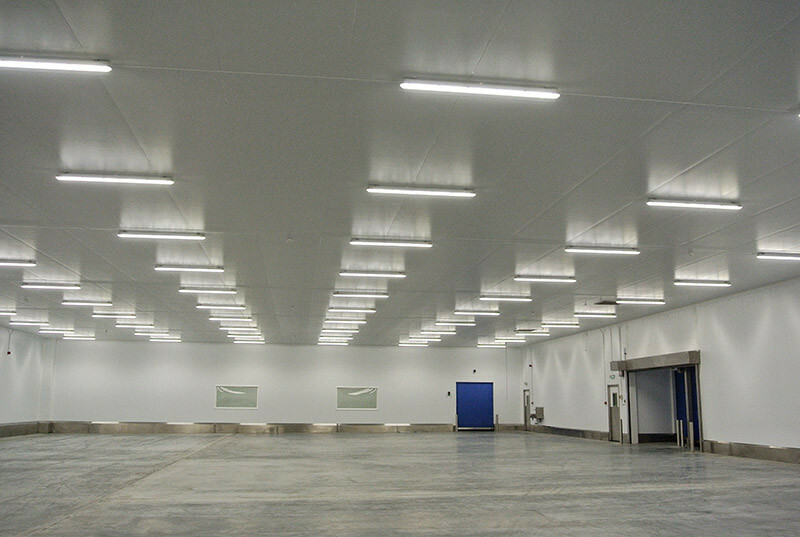 Stancold’s strong technical expertise and experience in installing temperature-controlled food environments saw this project completed on time. 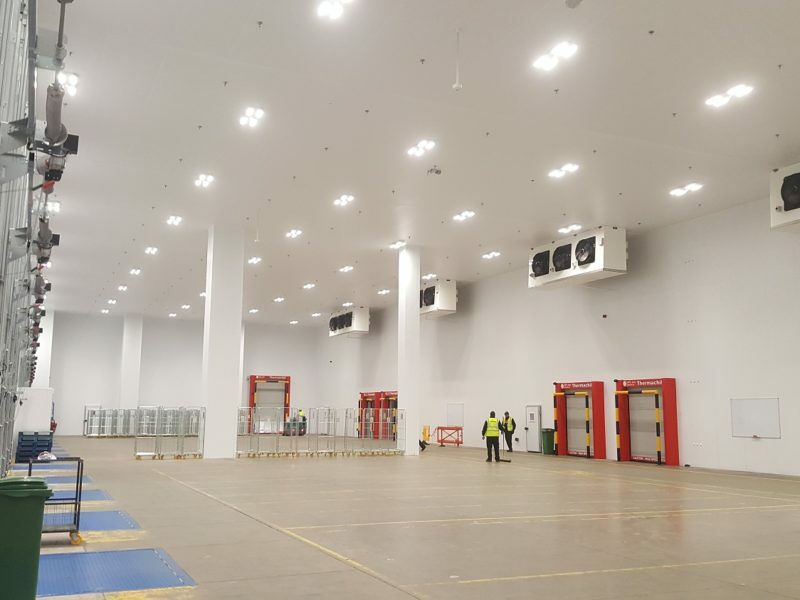 Following a client recommendation, Stancold worked with commercial property specialists, ISS Property, to create a large chilled marshalling area in a food distribution hub in Coventry. 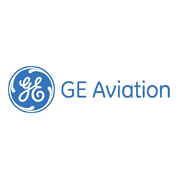 With the end user recently taking over the site, they were looking to make modifications to better suit their operations. 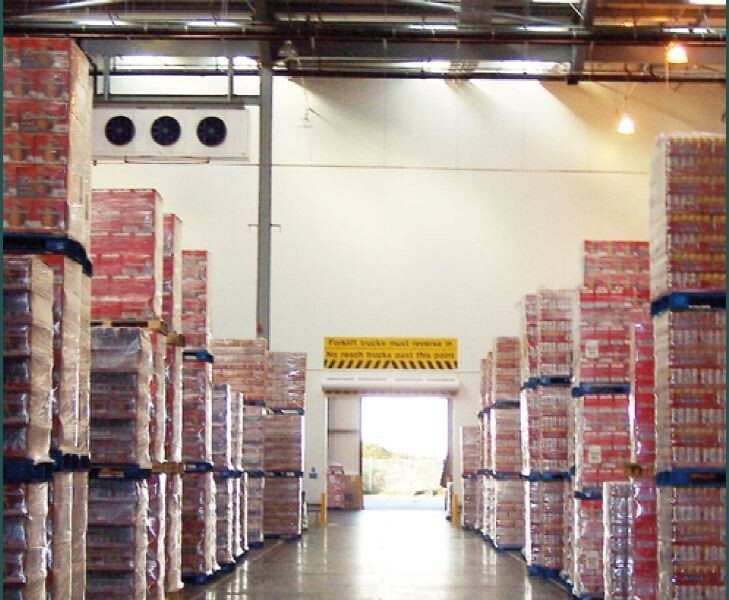 The marshalling area allows products to be inspected and sorted after being picked from the chilled warehouse, before being loaded onto delivery vehicles. 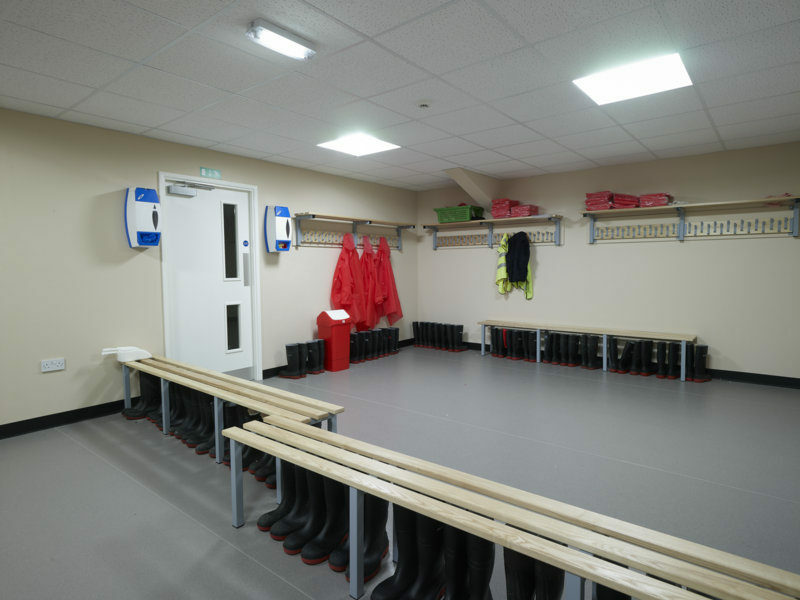 Therefore, it was important to explore different designs for the space, where Stancold’s strong technical knowledge was fully utilised to implement a solution that optimised the end user’s needs. 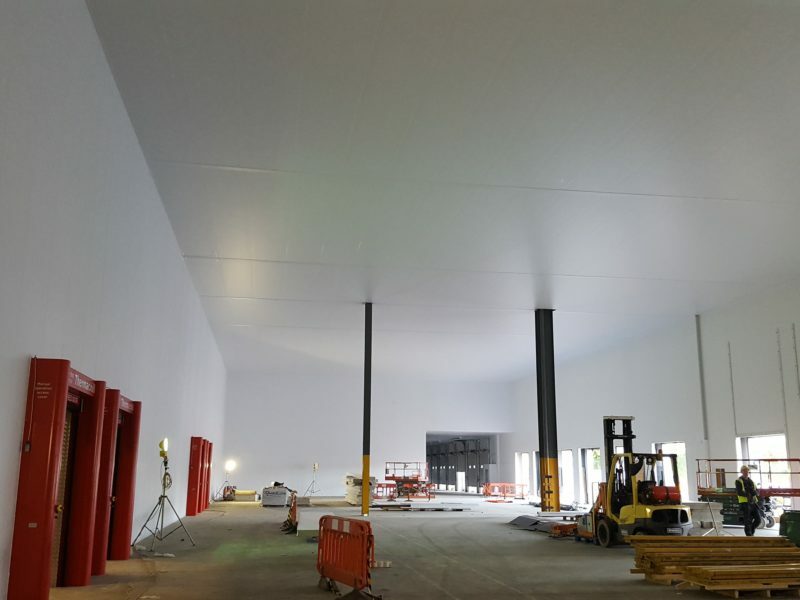 Stancold’s in-house installation team constructed the chilled marshalling area using 3760m² of Kingspan Quadcore panels. 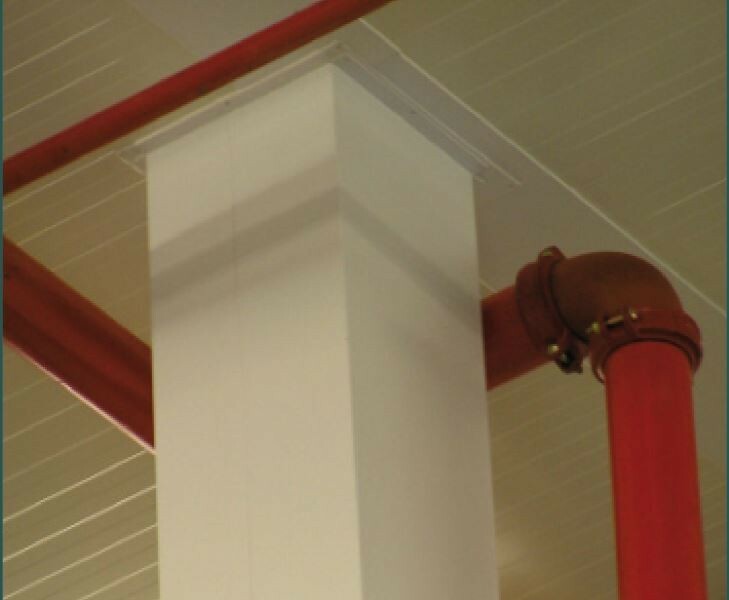 An intricate ceiling design was also completed to allow for the installation of a fire suppression sprinkler system. 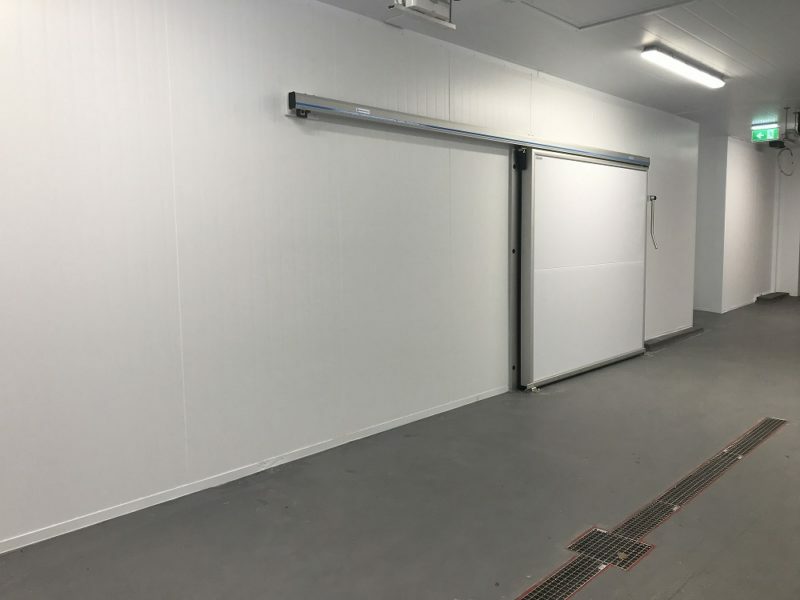 The build included the integration of the client’s existing sectional doors as well as the installation of new rapid-rise freezer and chiller doors and vision panels. 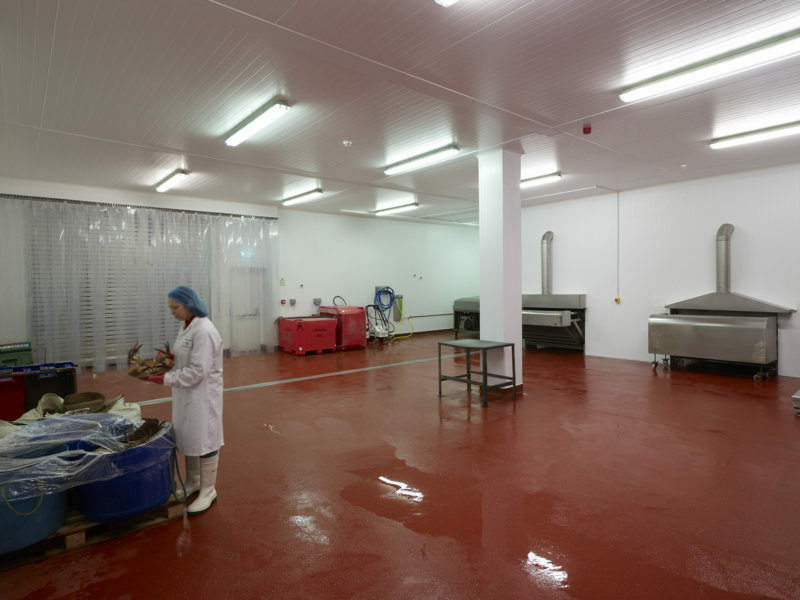 The project was completed within 6 weeks and with a quick timeframe from initial enquiry through to the project handover, Stancold’s 70 years of experience in food & drink was valuable in achieving a high-quality solution. 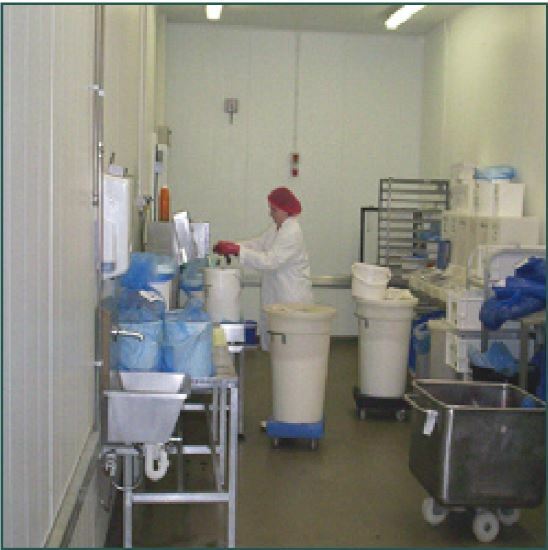 Due to continued business growth, this food-to-go manufacturer needed to expand their production facility. 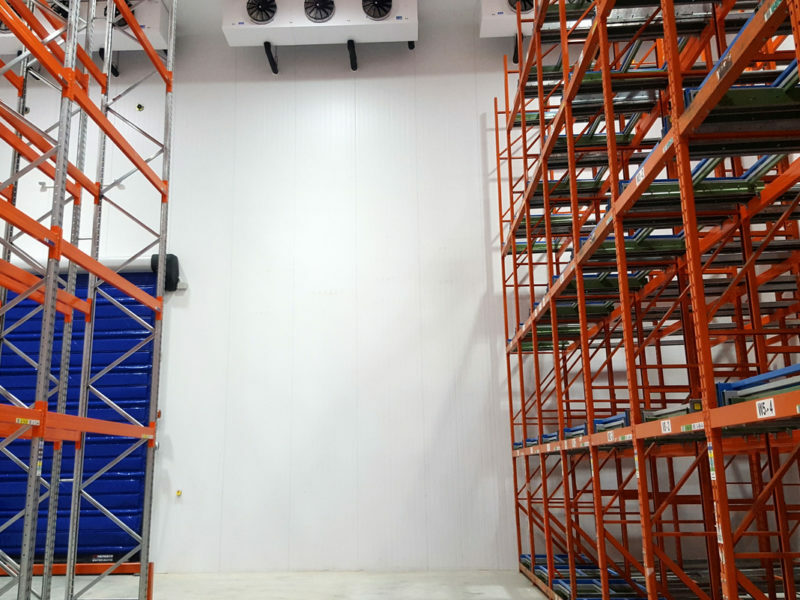 For this complex scheme, we had to consider the different temperatures for chillers, freezers and packing facilities along with fire-rated areas. 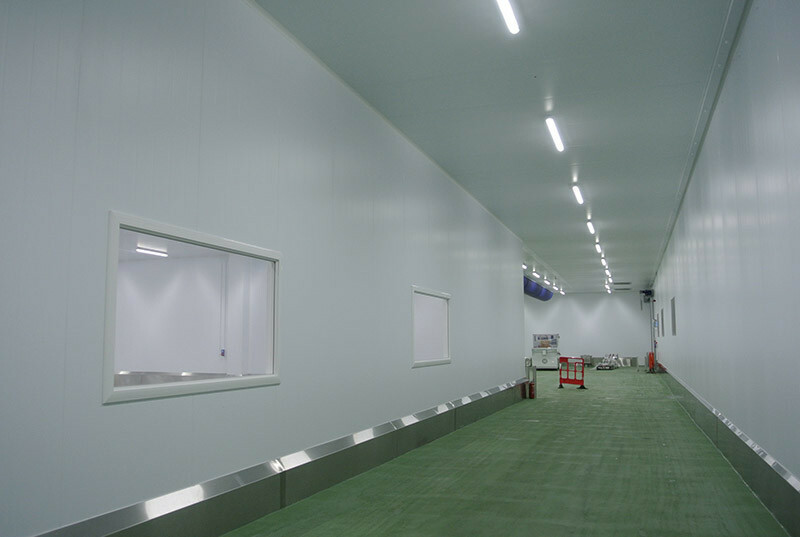 The plan included a range of facilities; ingredient chillers, product preparation rooms, temperature-controlled packing areas, low-temperature storage and marshalling areas, alongside the installation of 58 doors. 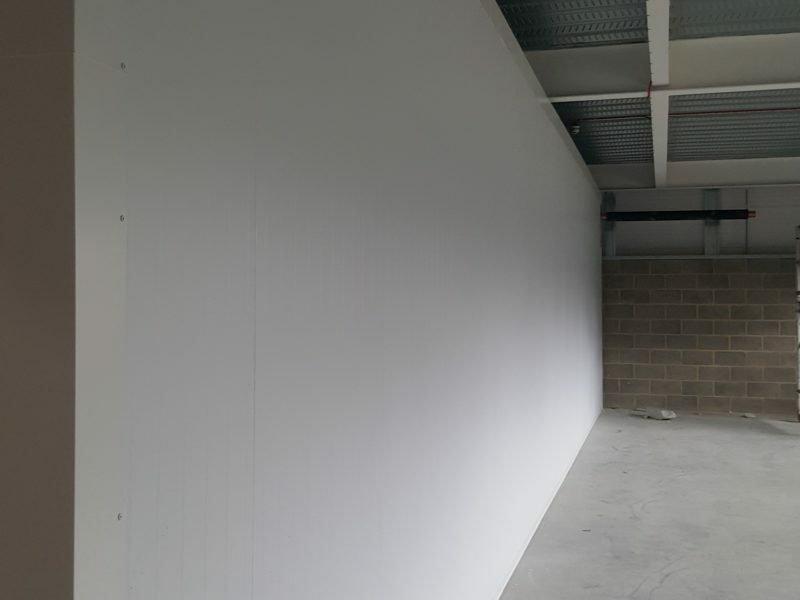 To suit the requirements of each room, a range of different panel thicknesses were used across the project, including a 175mm firewall. 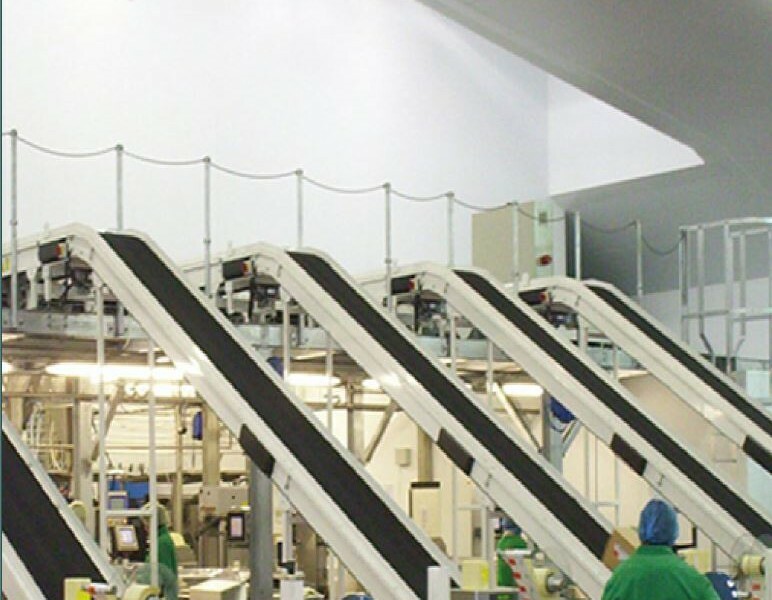 Due to its large-scale nature, a project re-design was required during installation to include adaptations to work around steel walkways in the ceiling. 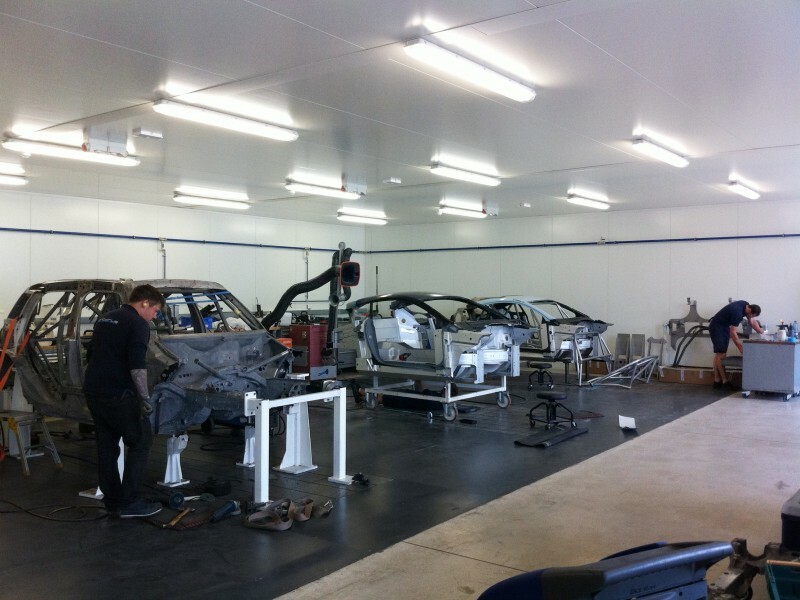 The complexity of this project really displayed the team’s technical capabilities. 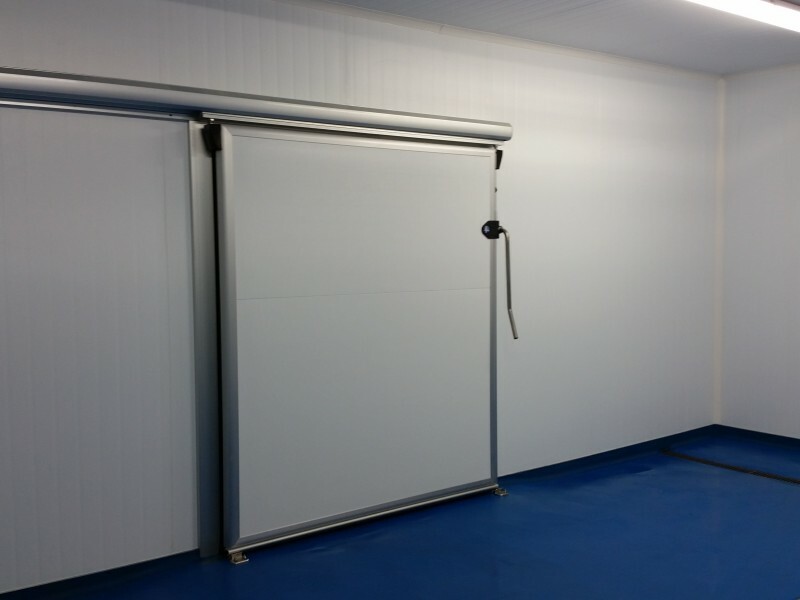 Stancold was selected for this project because of our experience in the seafood industry, understanding of the project requirements and good communication with the project management team. 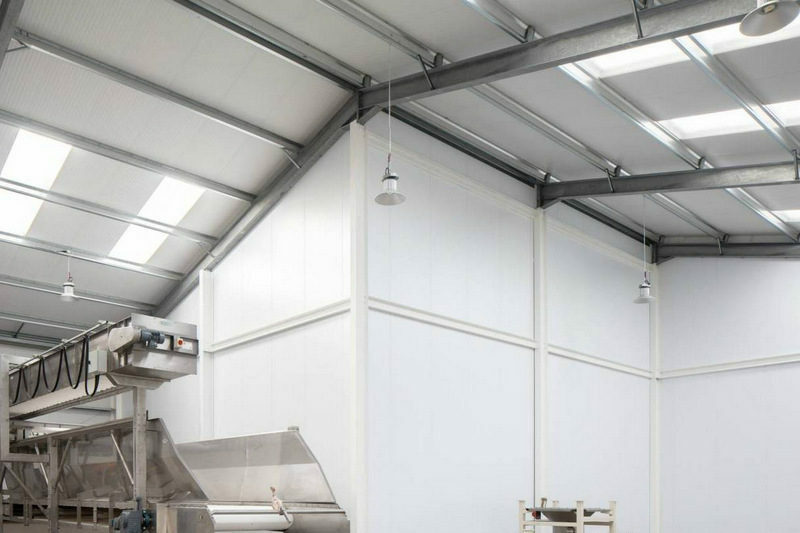 We worked with Seafood and Eat It as their design for the proposed mezzanine floor developed, ensuring we still met all their requirements. 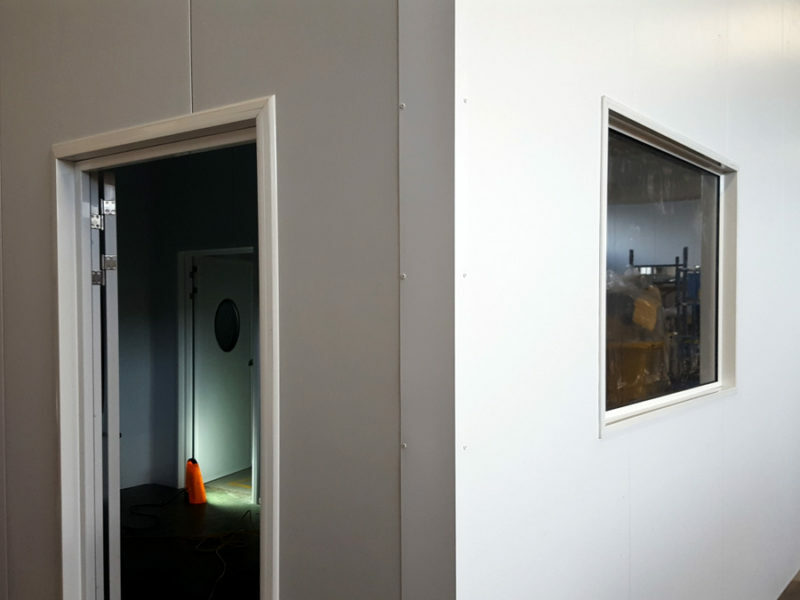 We installed a series of rooms to create a new processing facility for crab meat, which included freezer chill and refrigeration rooms and a blast chiller, as well as an office. 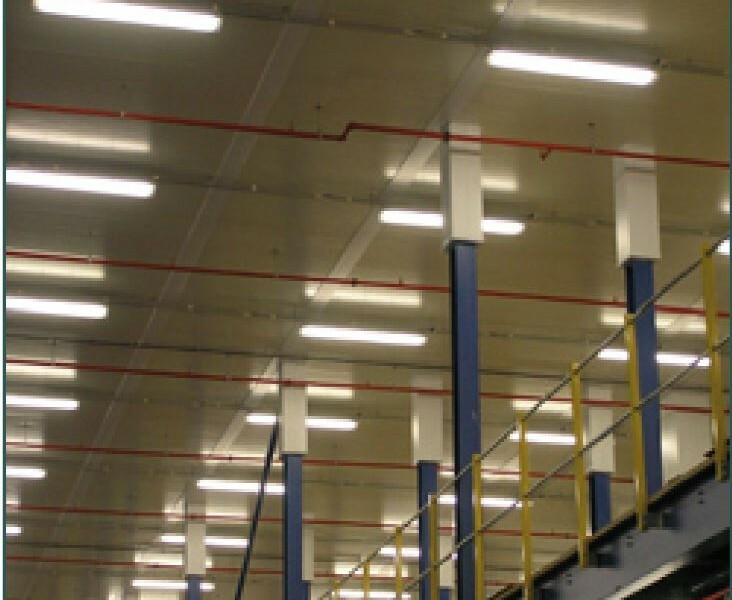 To ensure protection for the mezzanine floor, we installed an independently suspended fire rated ceiling which was tightly fitted to the existing ceiling. 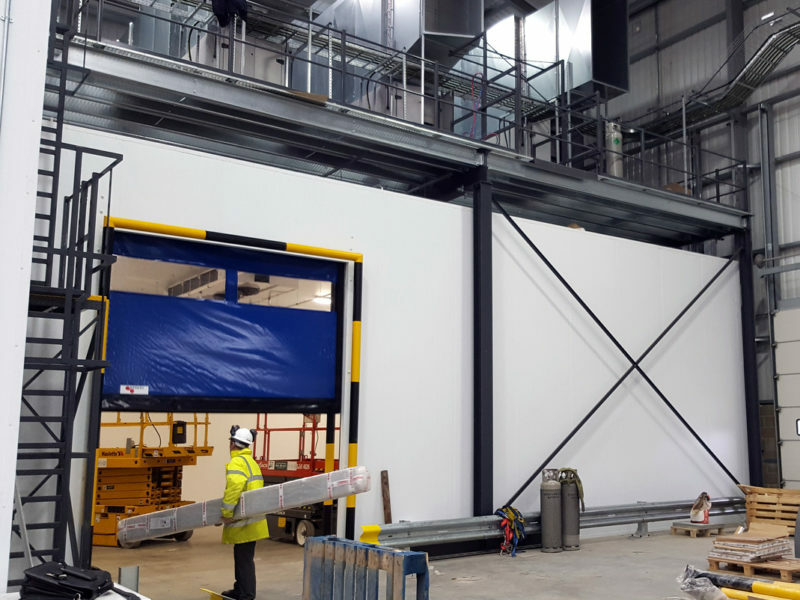 We continued to adapt to the client’s wishes as the project developed, installing the 2.00m x 2.00m x 3.40m high chiller upstairs where it will be used for testing. 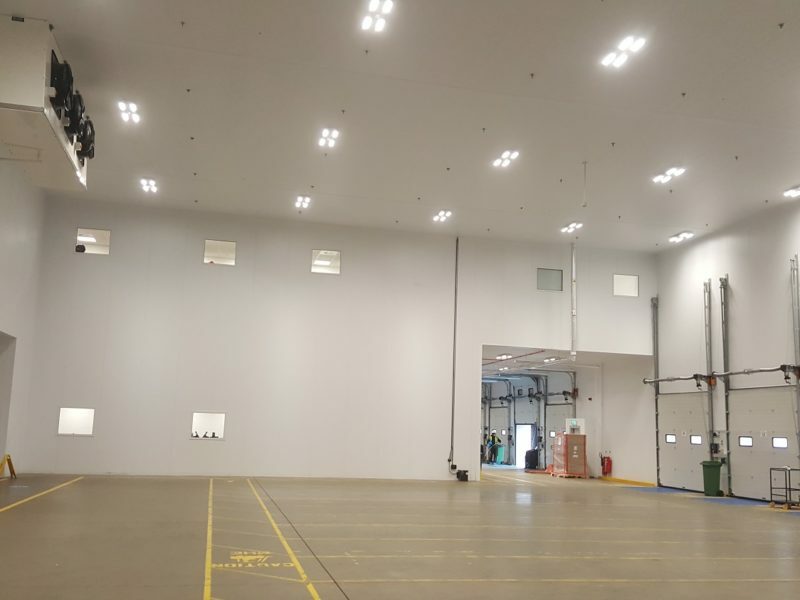 Stancold used their technical knowledge and product expertise to create this suite of rooms for this processing facility, using both Kingspan and Eurobond panels. The installation was finished on time. 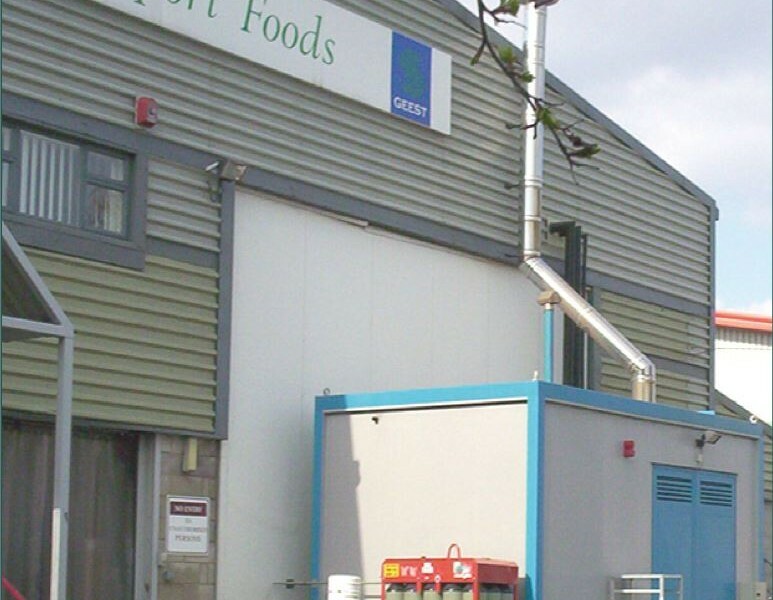 AM Seafoods needed to double their production capacity with a new purpose-built facility, grant aided by the Marine Management Organisation and European Fisheries Fund. 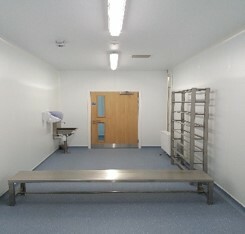 The final design incorporates low care raw goods reception chiller, high care cooking area with steam production, ventilation, and various production lines, chilling and packing areas, blast freezers and a holding freezer, as well as staff welfare areas and all of the associated facilities to support this. 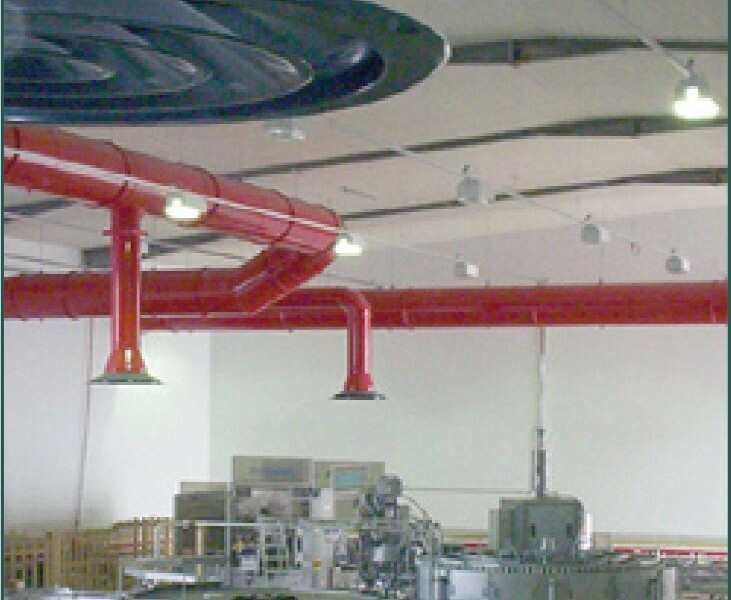 As project managers, we co-ordinated the project from sourcing equipment to modifying plans and associated specifications. 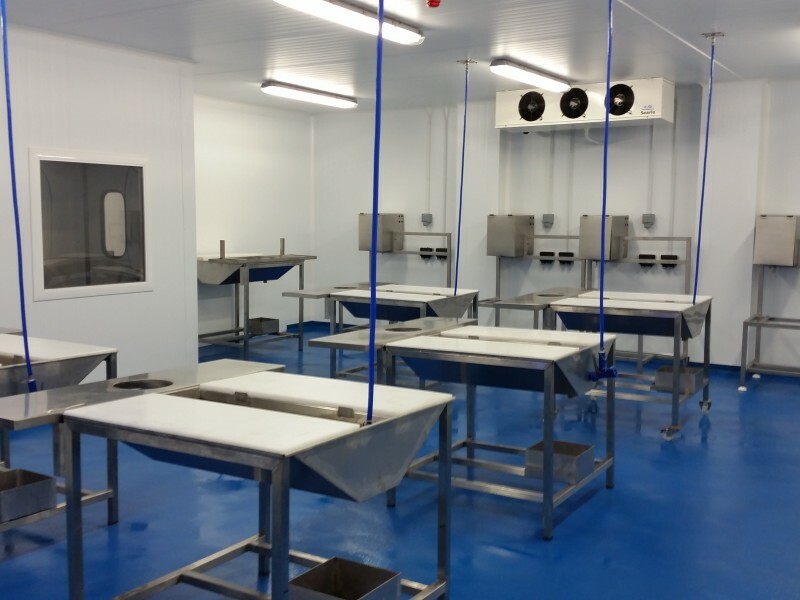 This required incorporating existing foundations and AM Seafoods’ specially designed complex production facilities as well as staff areas with changing facilities, canteen, offices and ancillary fit-out. 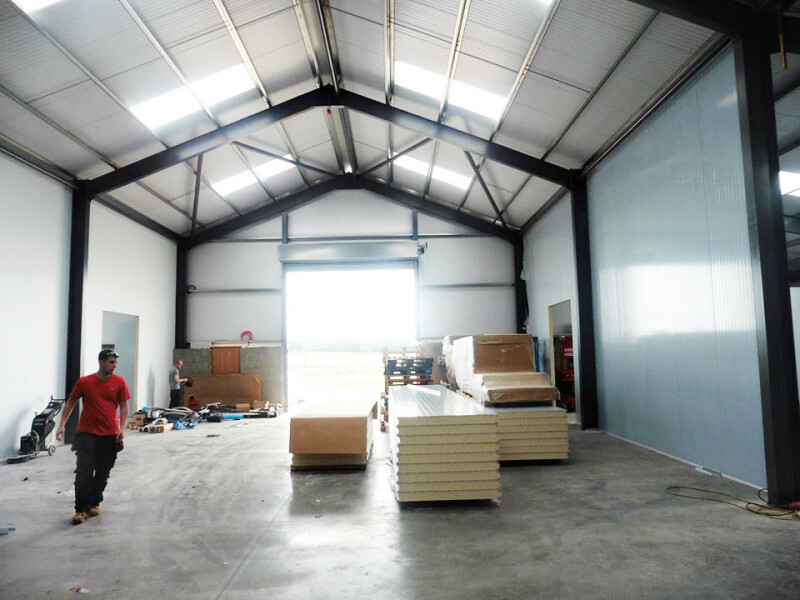 The new facility is designed so that the company has the space to keep growing in a sustainable way. I think what I appreciated most, was feeling that nothing was too much trouble, and no problem insurmountable. 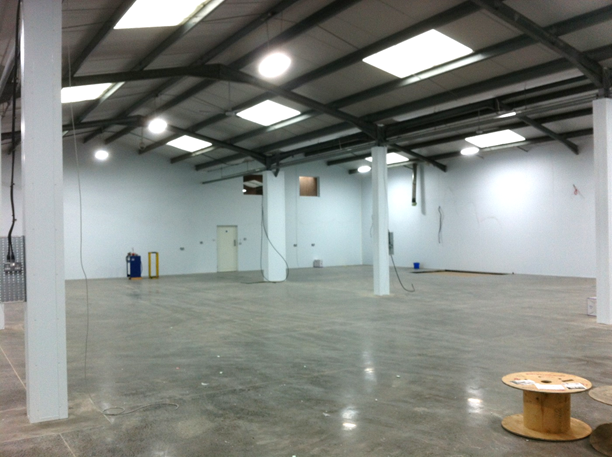 The new facility will allow us to deliver a first class product for many years to come. 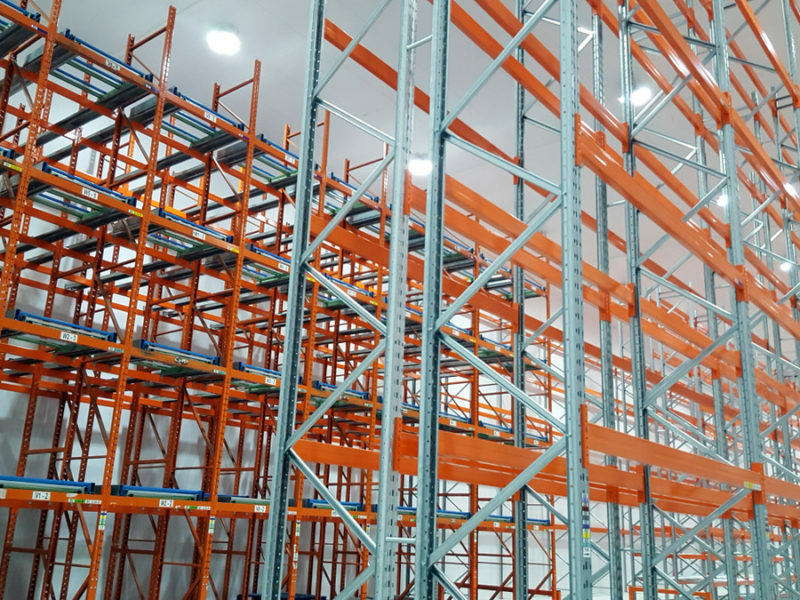 The new client required our expertise to build a frozen and chilled storage as well as a distribution warehouse for Europe’s biggest importer and developer of Japanese food. 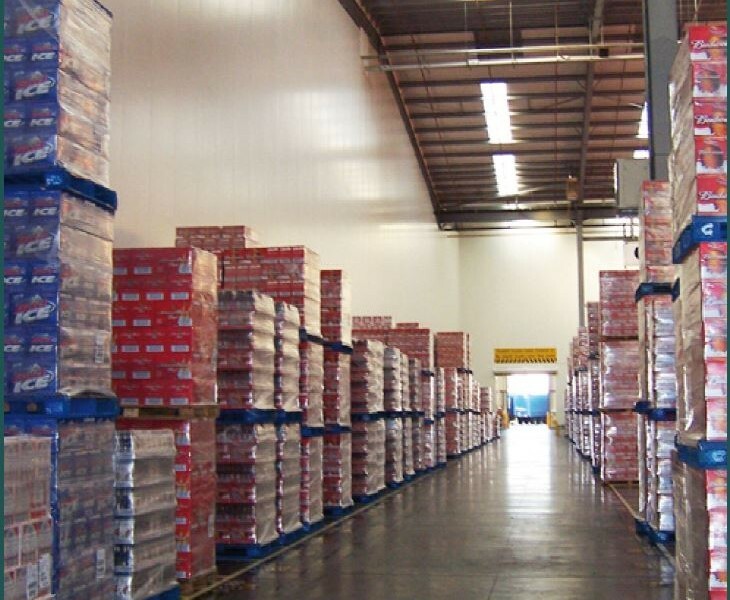 Japanese food has grown in popularity and the company needed to expand and adapt their facility to enable them to better serve their UK and European customers. 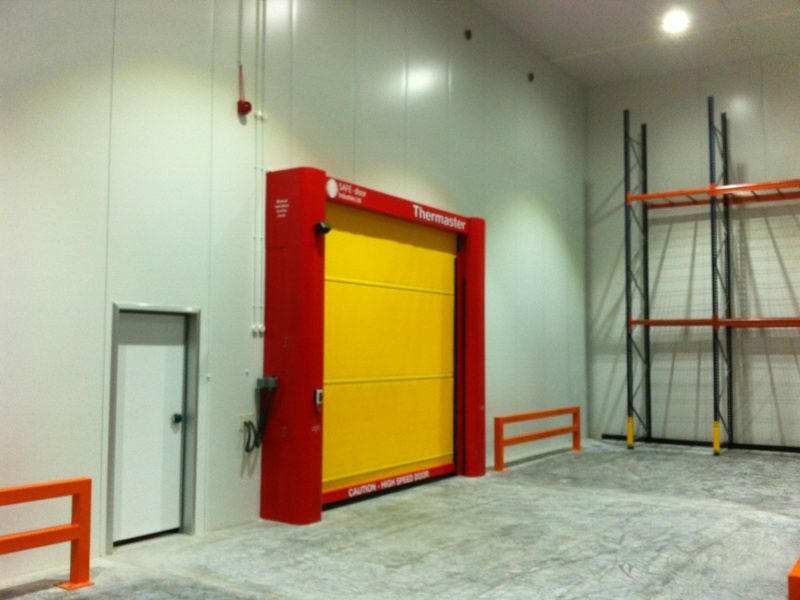 A series of rooms for storage and distribution including a 44.26m x 15.07m x 10.12m high freezer. 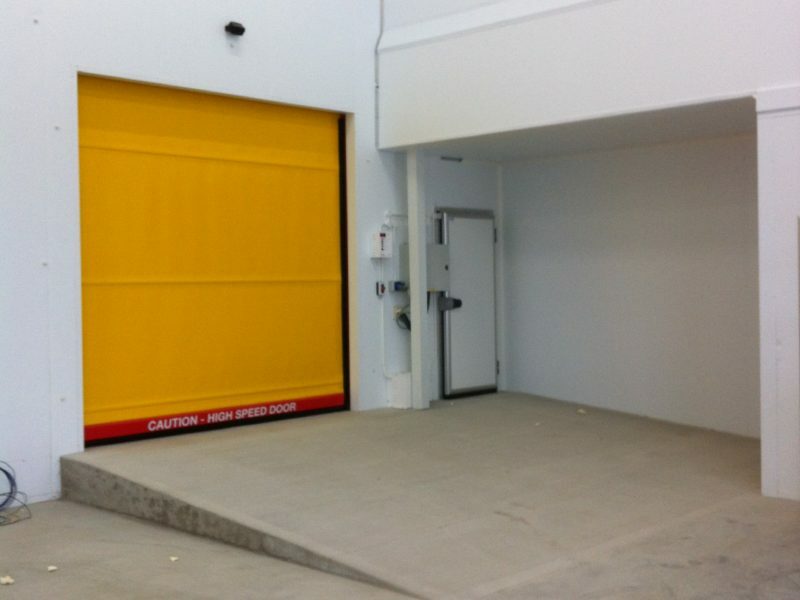 To enable easy access, we installed a 3m wide x 4m high rapid rise door. 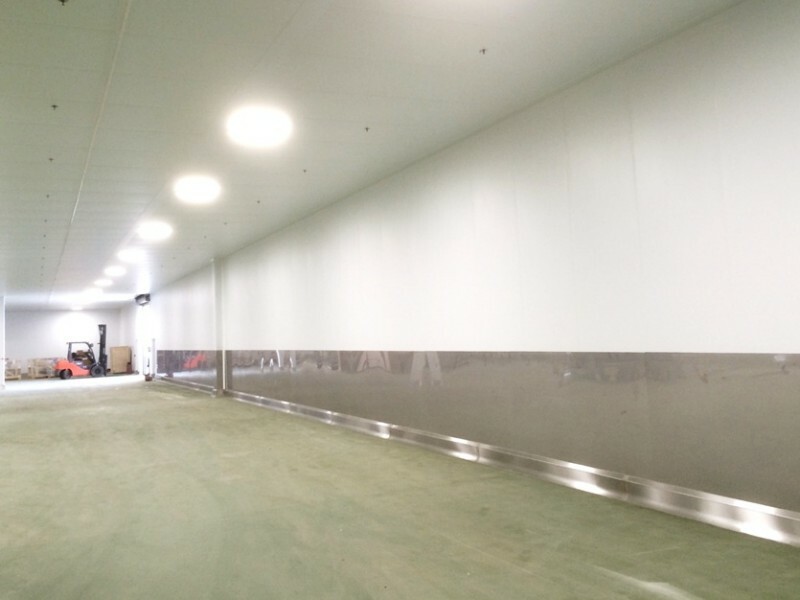 Due to the high value and storage requirements of Sake, a separate chiller was created alongside the vegetable chiller for fresh produce. 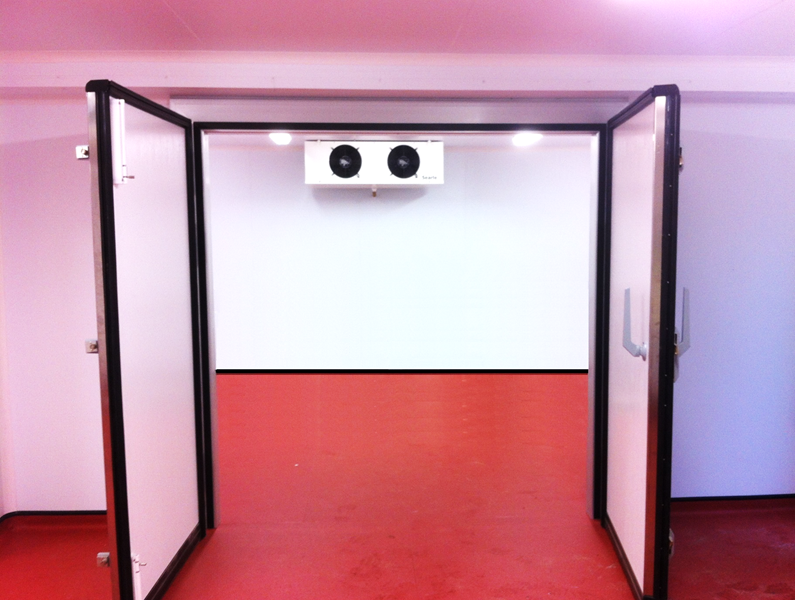 We also installed a dock chiller to keep the products at the correct temperature. 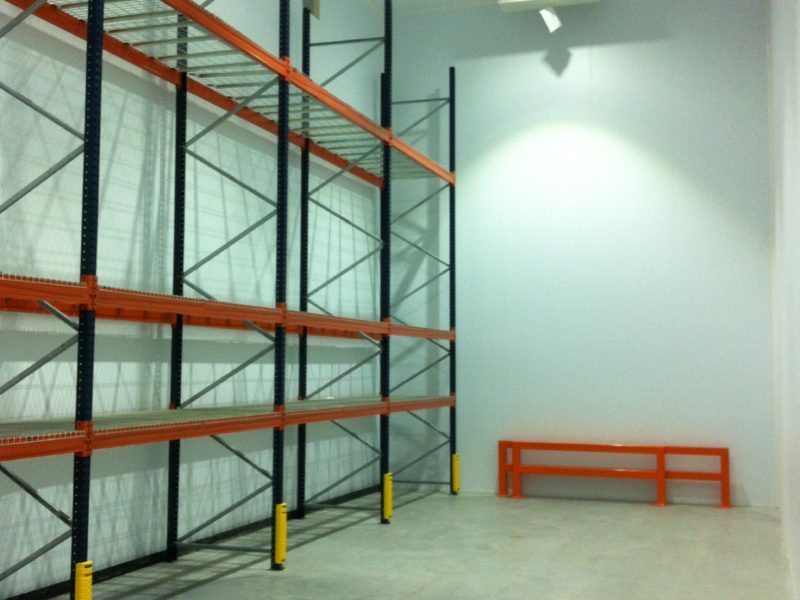 It was an exciting project that required different stages of storage and distribution. 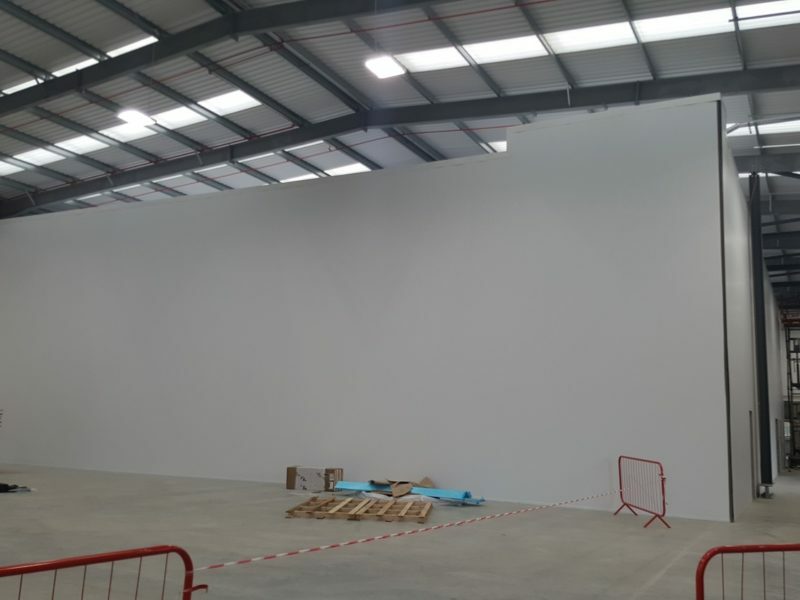 Having worked closely with the engineering manager at Twinings in his previous role, we were very pleased when he got in touch directly when they needed partition walling to separate their production facility and a new workshop. 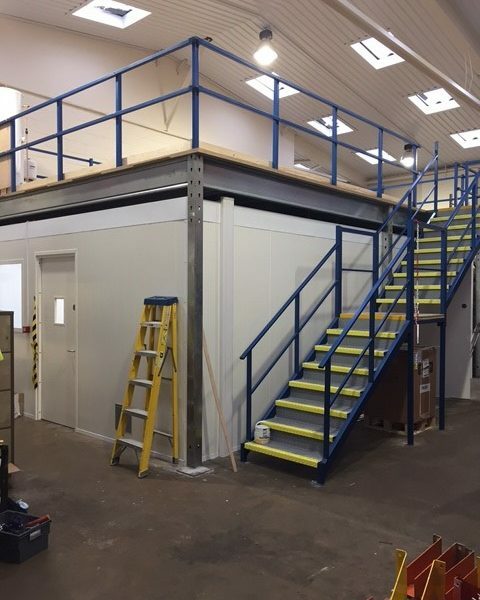 A new workshop area for maintenance (7.60m x 4.84m x 3.50m high) and a series of five partition walls. 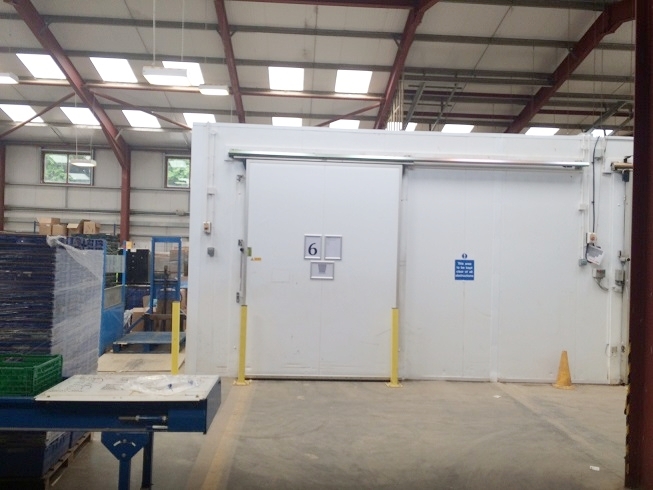 The workshop area was to have two vision panels and five hinged personnel doors. 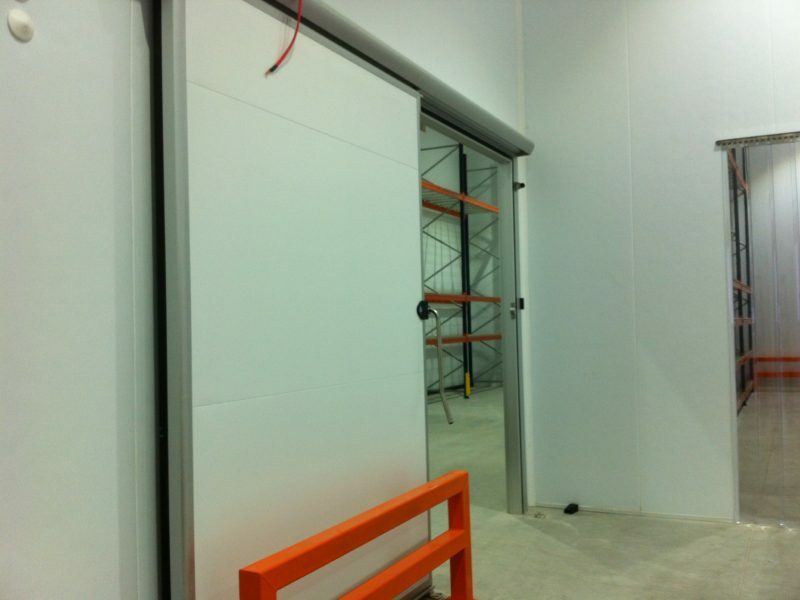 A roller shutter door was installed in the partition wall leading through to the factory for ease of access. 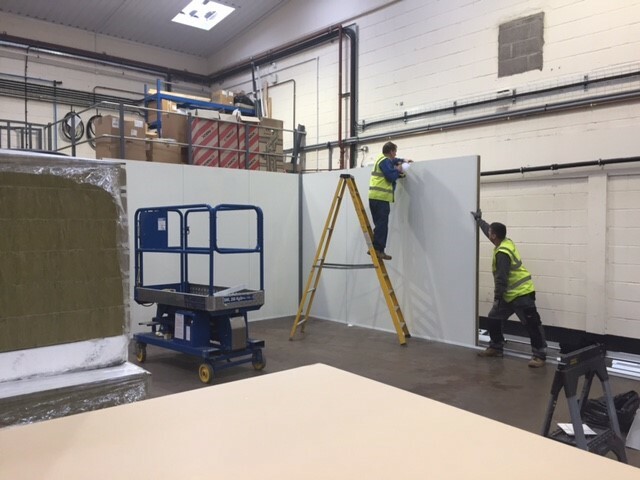 The challenge with the installation of the workshop and the partition walls was that the team had to work around the live factory. This was no problem thanks to a dedicated project management and an experienced installer team. 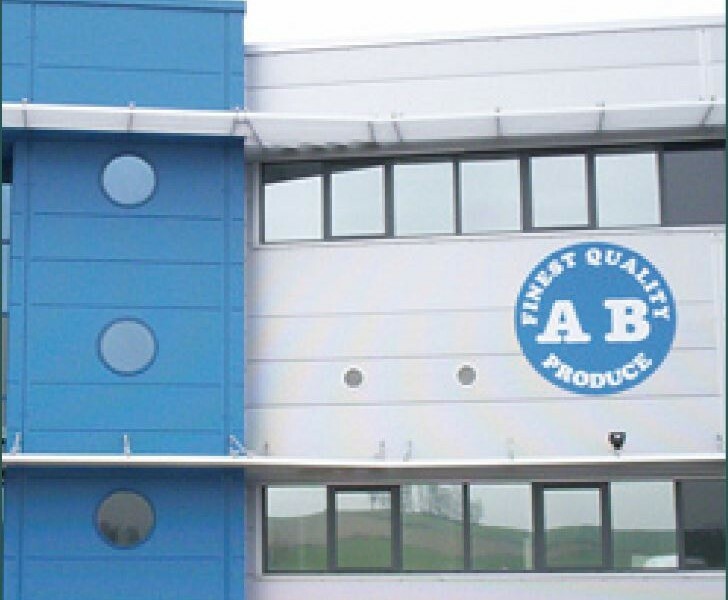 As a supplier and distributor, Newberry International Produce were looking to build a factory in Gloucestershire to make UK distribution easier. 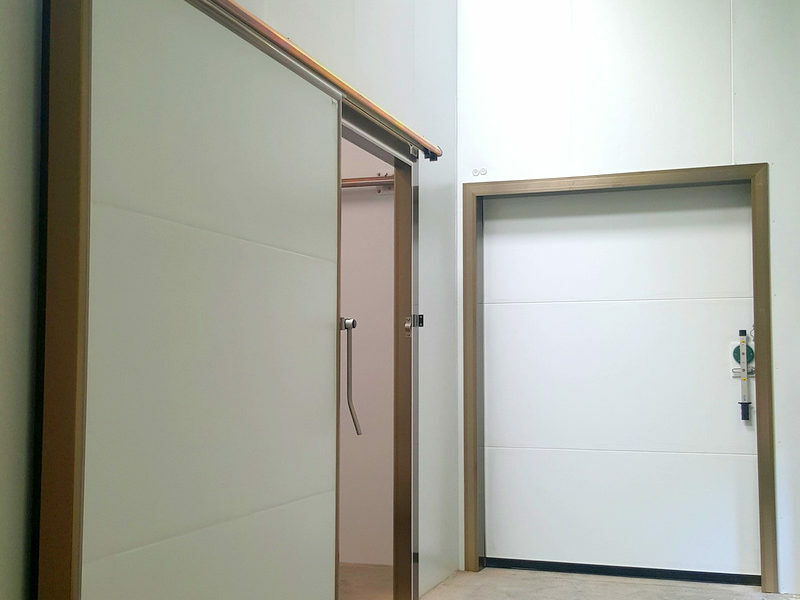 The full turnkey works with 1099m² of panelling. 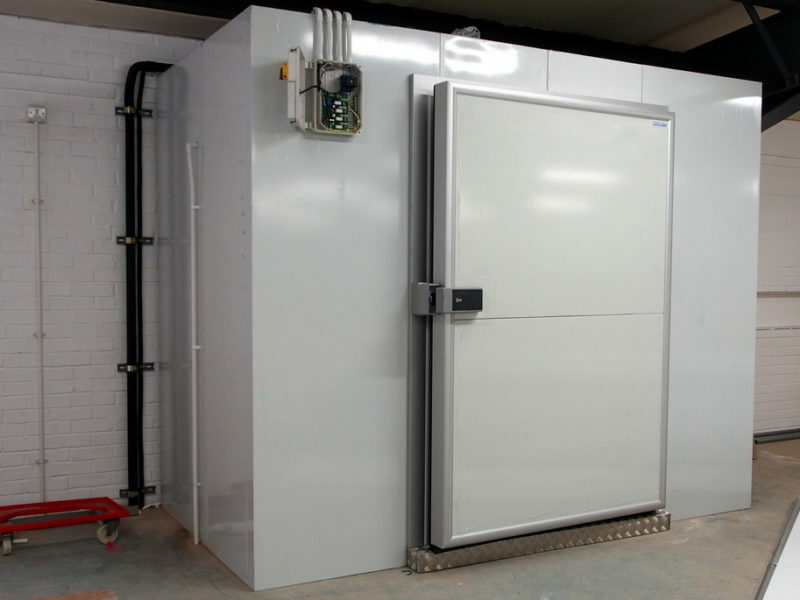 A coldstore freezer with mobile racking to store stock and three chiller rooms for preparation of the client’s produce. 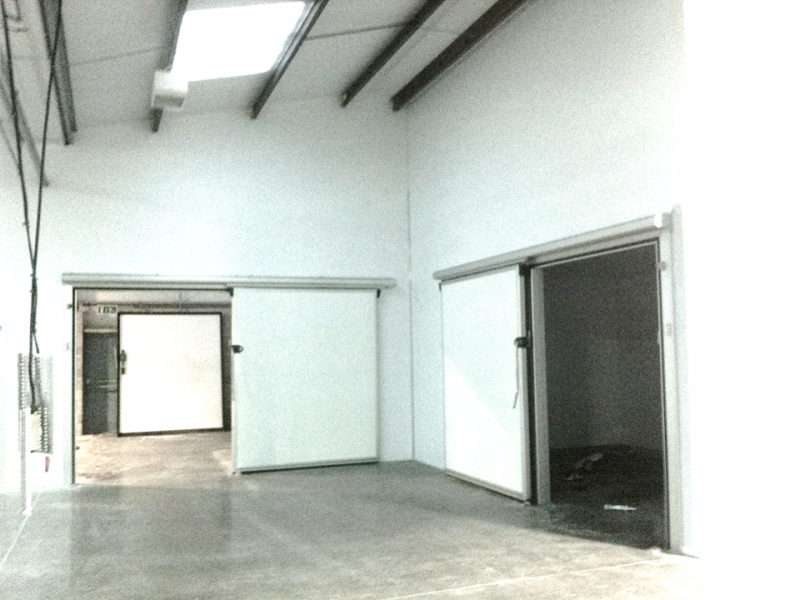 Alongside this was a packing room and loading dock with direct access. 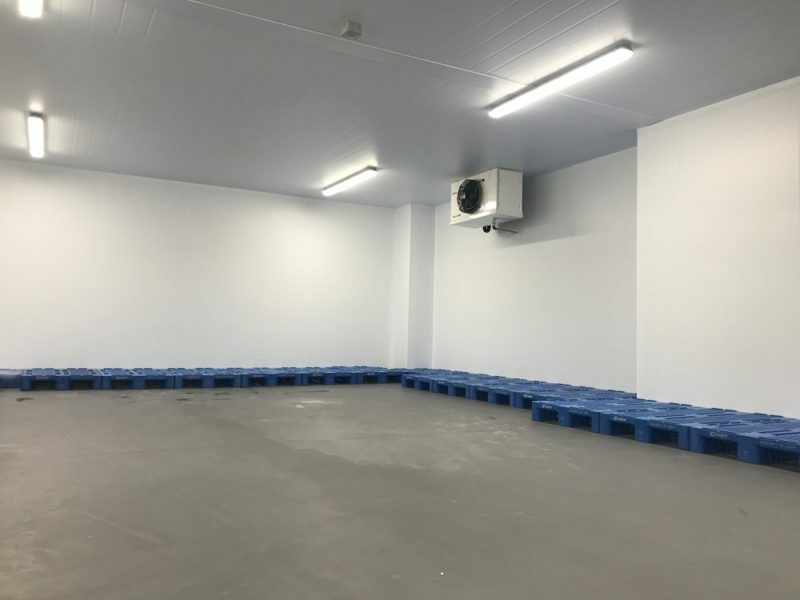 Stancold organised the complete build from ground works, building the freezer and chiller rooms, refrigeration, flooring, lighting and floor slabs with appropriate ramps. 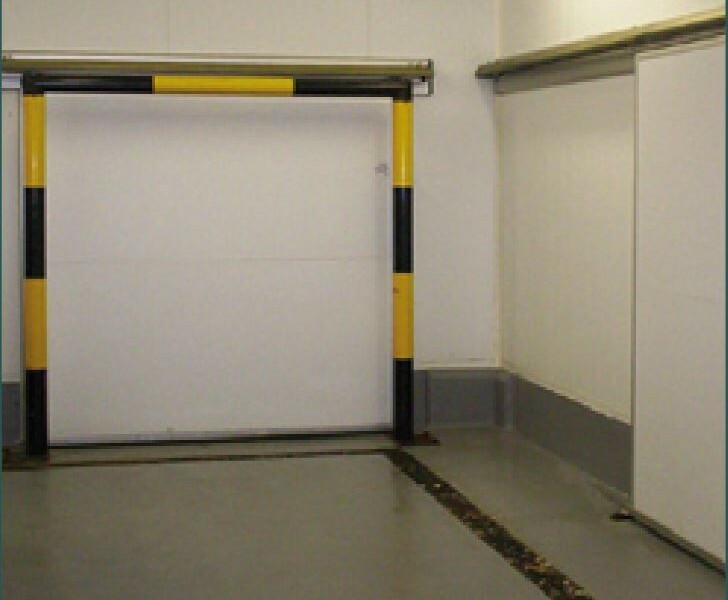 We also designed and built a solution to allow a loading bay direct from outside the building into the freezer, a difference in temperature up to 60 degrees. 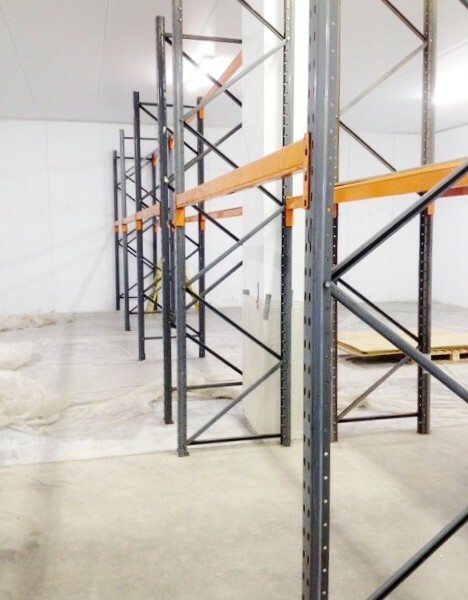 Co-ordinating multiple trades and the design of the mobile racking were the biggest challenges on this project. 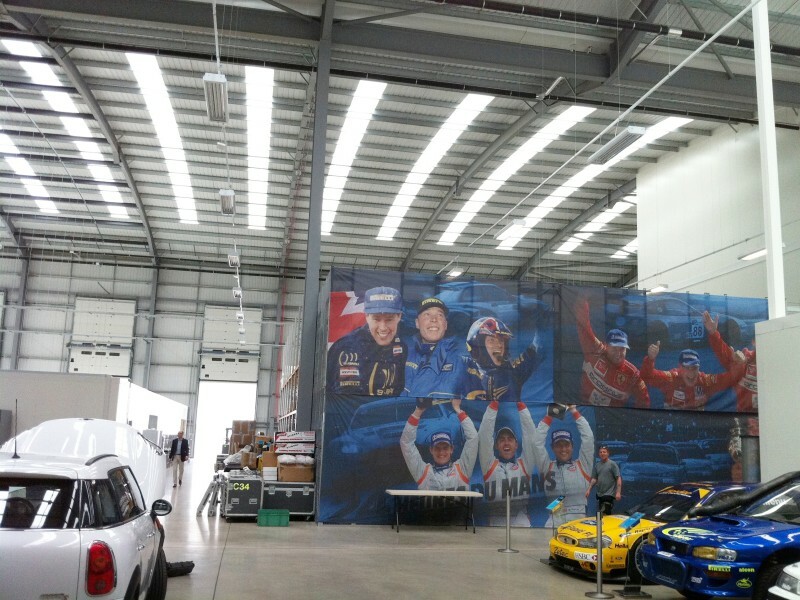 Fortunately, the expertise of our contractors and flexibility of the client meant the project went seamlessly. 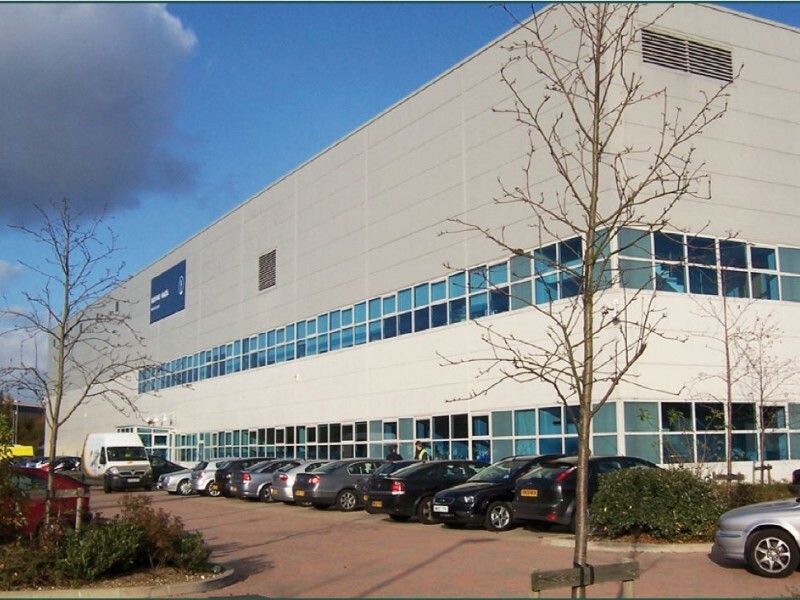 Stancold secured a competitive tender to build the Food Centre of Excellence and Training Facility for Peterborough Regional College. 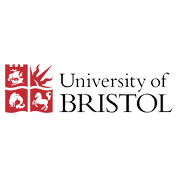 The centre will train students in a range of skills including product development and food production. 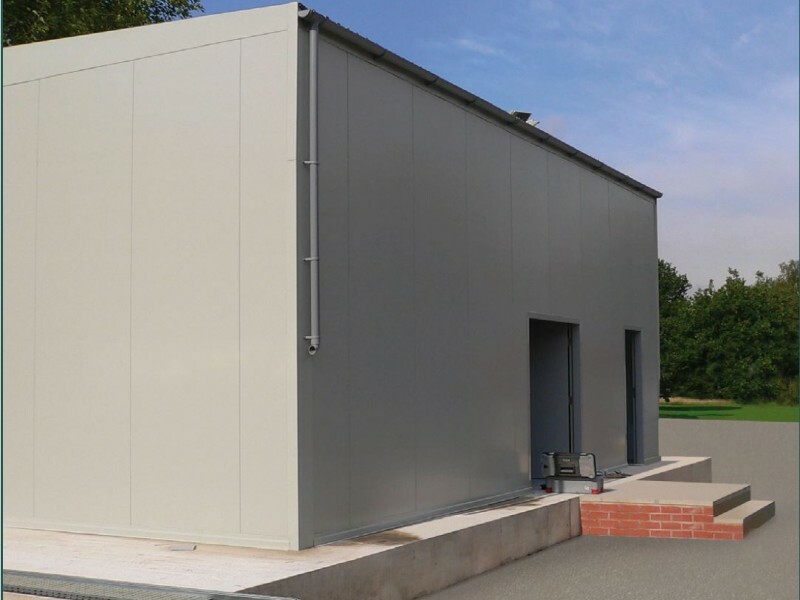 Over 1,200m² of multi-coloured external panels to provide both the necessary fire rating and weatherproof finish as well as the internal hygienic finish for the newly built facility. 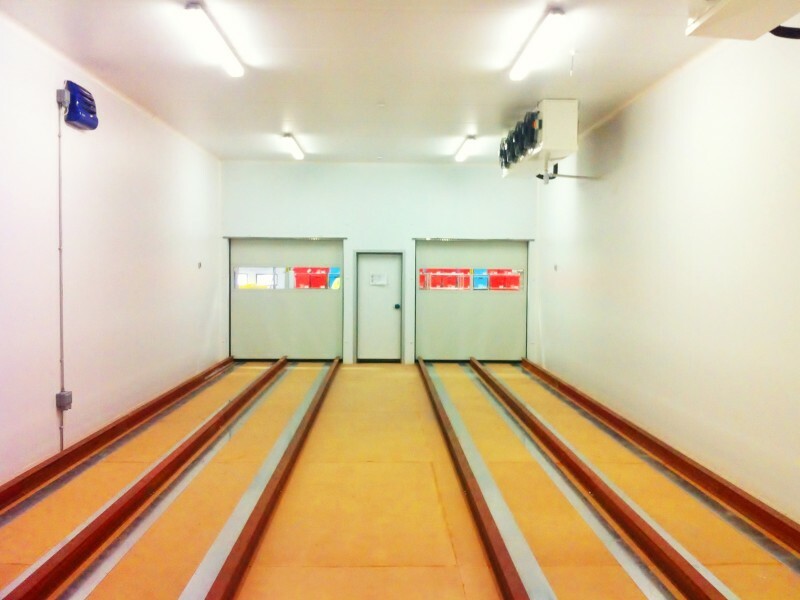 Internally, the client required multiple hygienic food-safe areas, changing rooms and corridors. 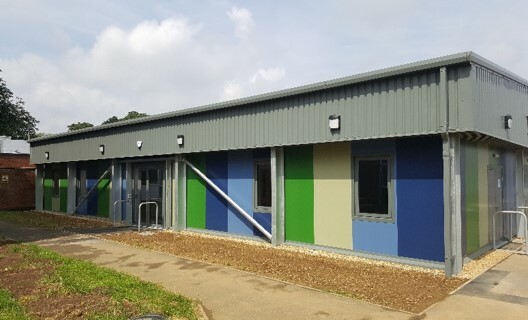 We matched the external panels to the college’s colour scheme. A project of this scale needed significant delivery access, but by coordinating our plans with the schedule of the busy college campus we overcame any potential safety concerns. 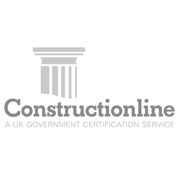 We appreciate the knowledge and experience that both the Lindum Group and Stancold brought to the project to enable us to achieve our goals. 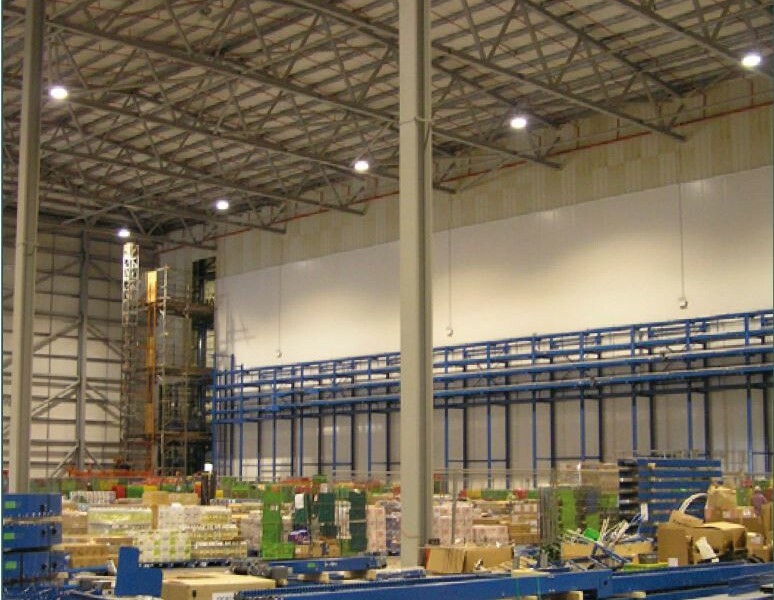 As part our client’s exciting UK expansion plans, we were awarded their newest temperature controlled distribution warehouse installation. 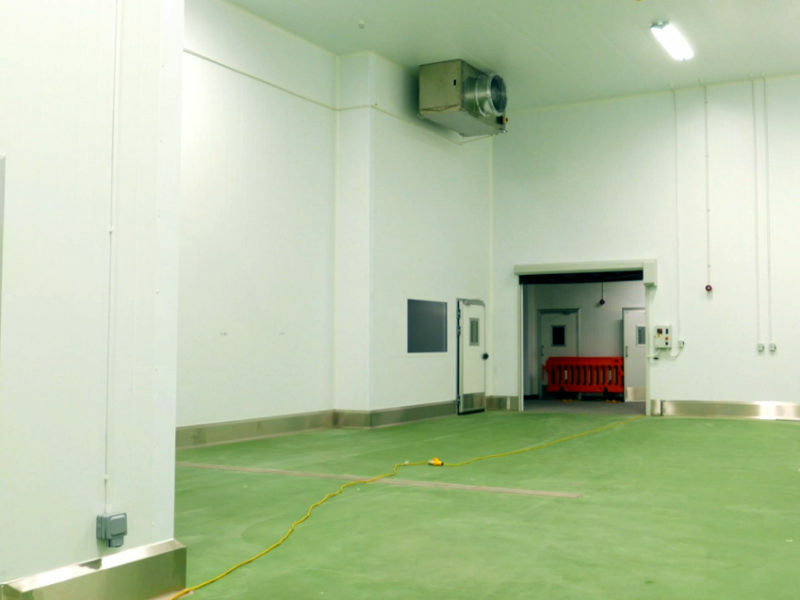 The facility, located in London, is their principal warehouse for food distribution. 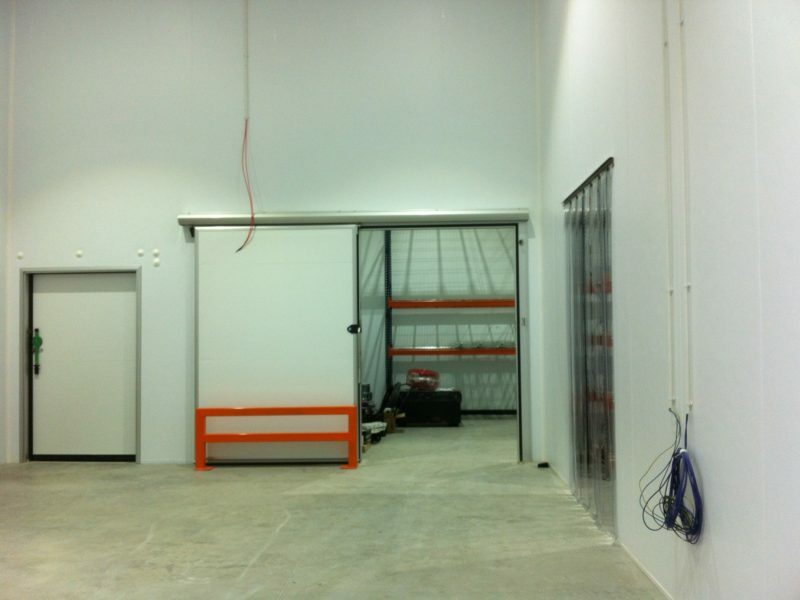 Stancold installed a combination of temperature controlled areas complete with refrigeration over an impressive 5800 m². 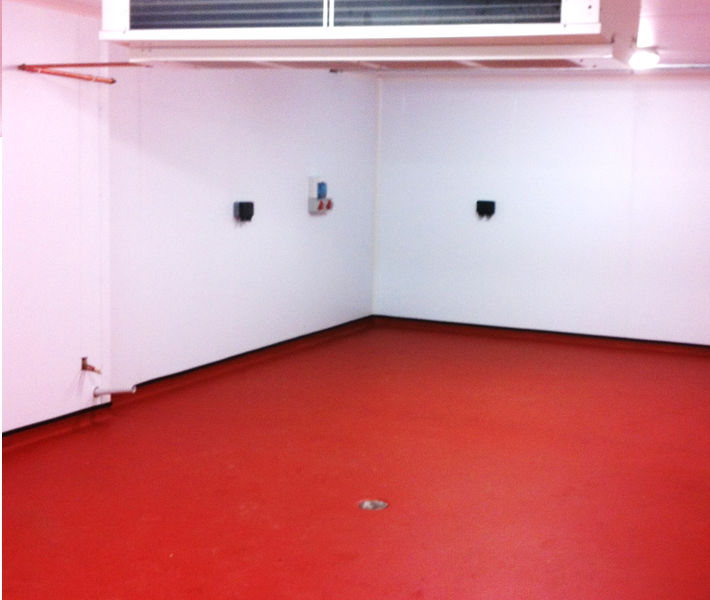 This includes a large freezer, five chill rooms for various food products, a food preparation area and marshalling areas. 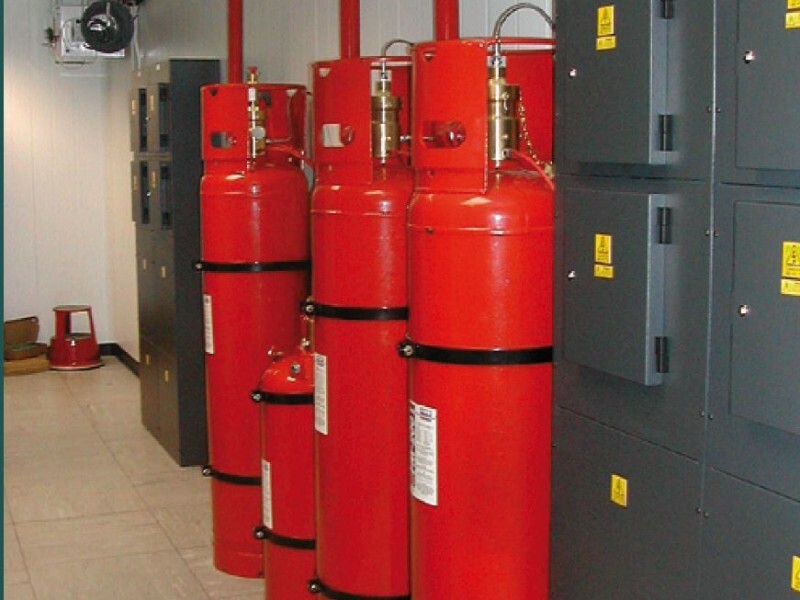 We also installed fire-rated office partitions over two levels. 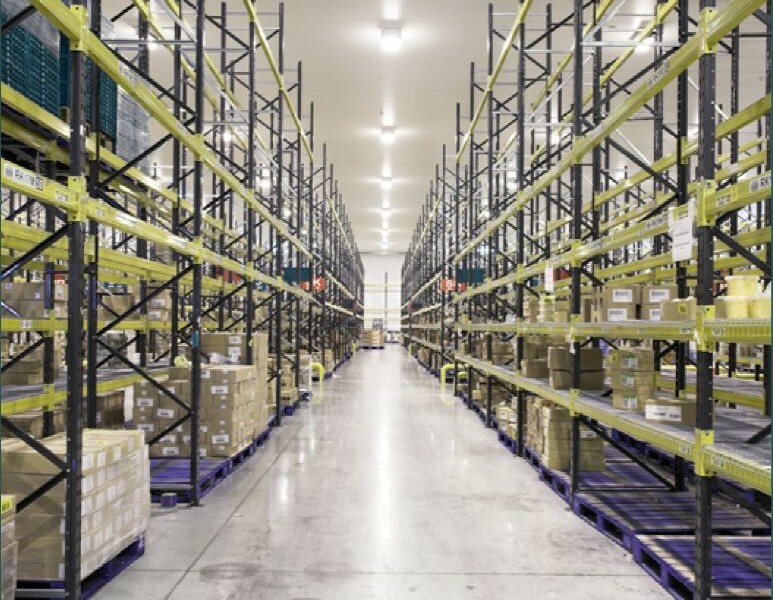 Drawing on years of experience in distribution warehouse installation, our design team came up with an energy efficient building plan. 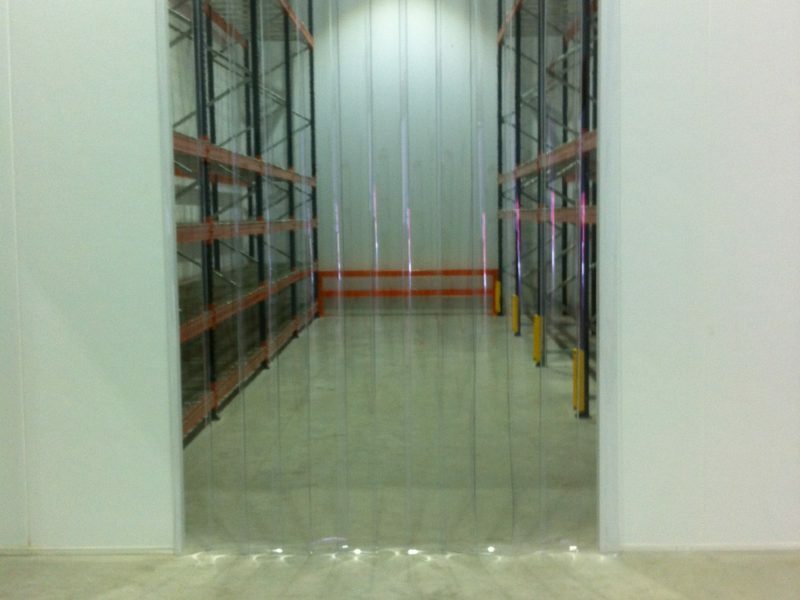 This was perfect for the storage and preparation of a variety of chilled and frozen foods. 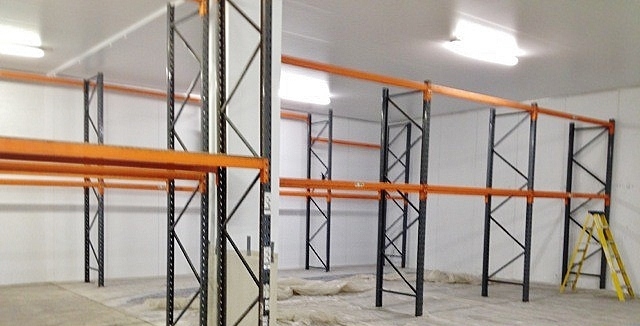 The rooms were sized around the client’s racking storage needs, providing the best use of space. 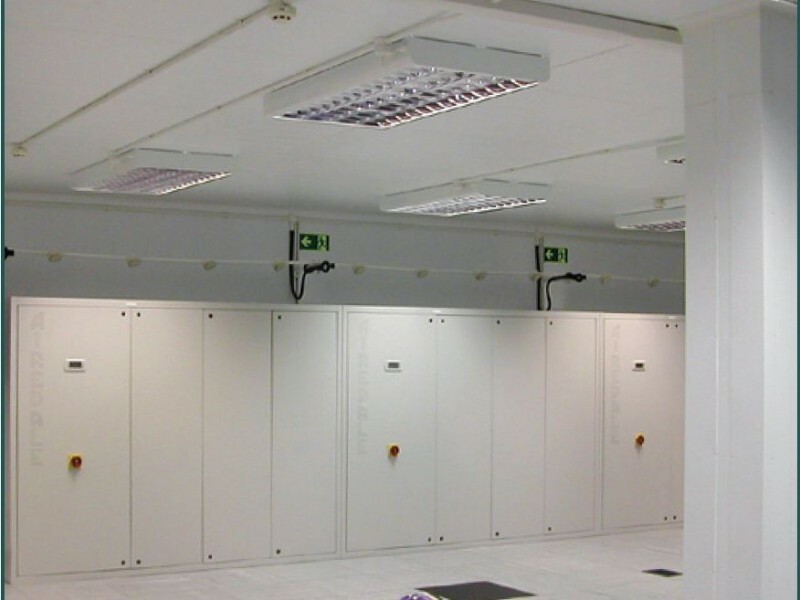 We handed over a fully equipped and operational state-of-the-art facility on the agreed deadline. 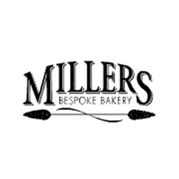 Bakers of Nailsea are a small family-run retail butchery and abattoir based in North Somerset. 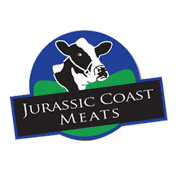 Established over 100 years ago, the business supplies responsibly farmed, high-quality meat produce to customers all over Somerset and Devon area. 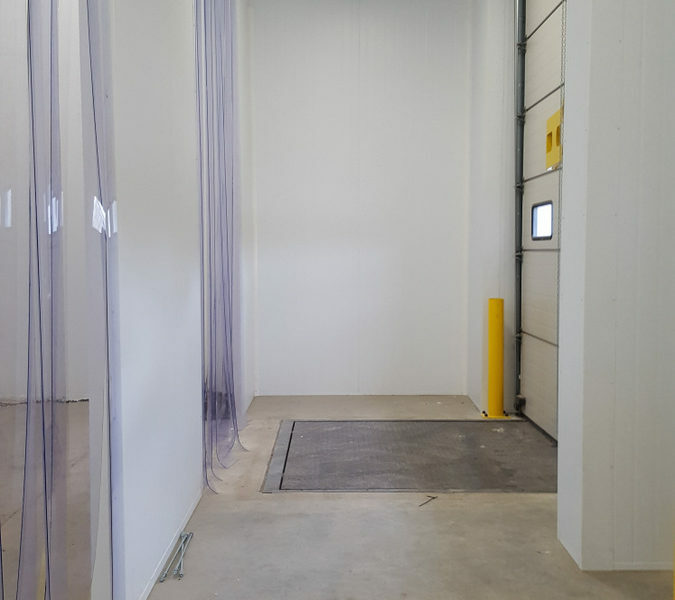 As a returning customer of Stancold, on this occasion, we were appointed to create a dual-compartment chiller and production area equipped with an airlock system in order to expand their existing operation. 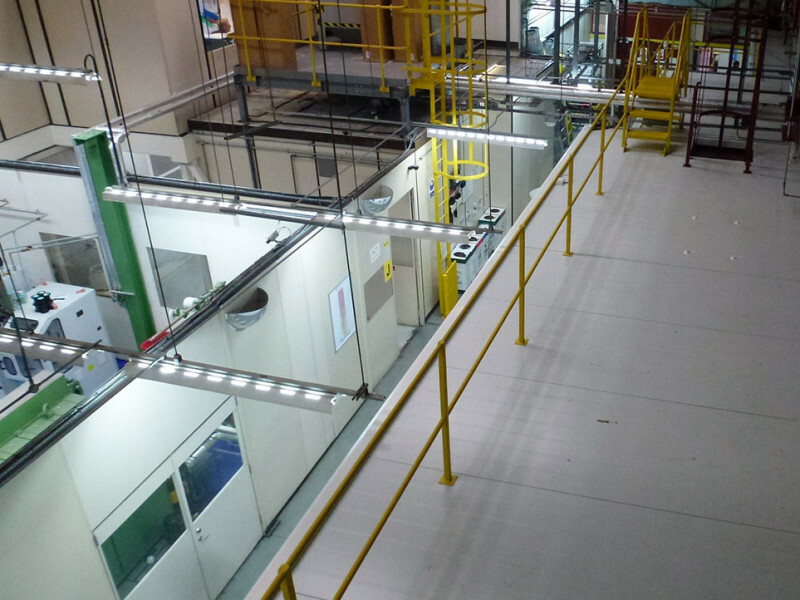 By working closely with the client, we ensured that our works didn’t disrupt their current production capacity. 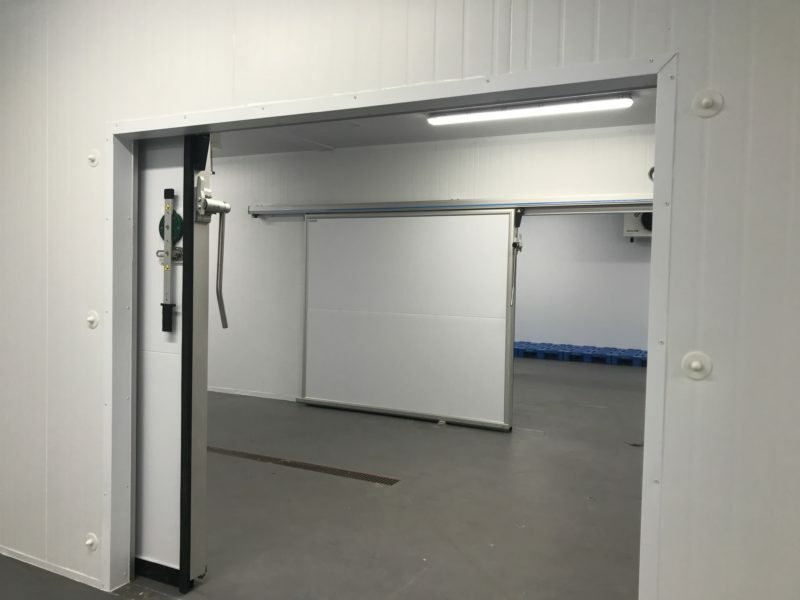 We used Kingspan coldroom panels to create the rooms and partitions and specially manufactured doors to enable the client’s meat rail system to be fitted into the scheme seamlessly. 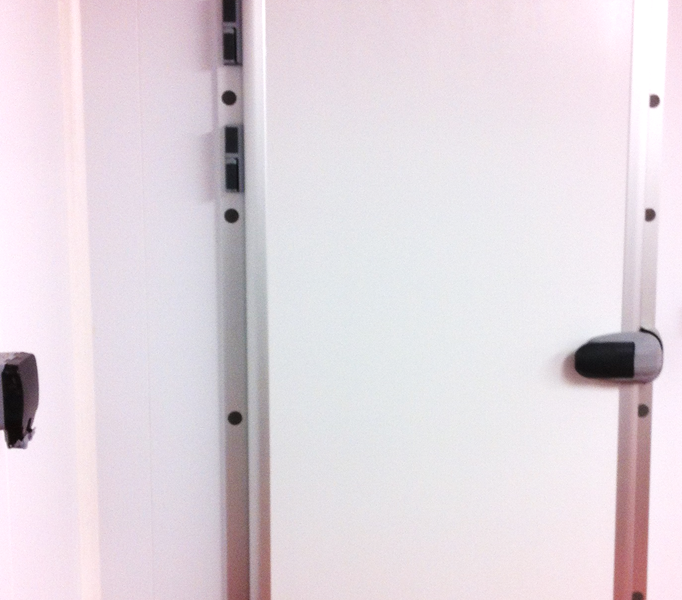 We’ve included an external sliding coldroom door with an airlock to keep the temperatures constant within the areas. Brilliant product and installation. I found your Project Manager and whole team very easy to deal with. 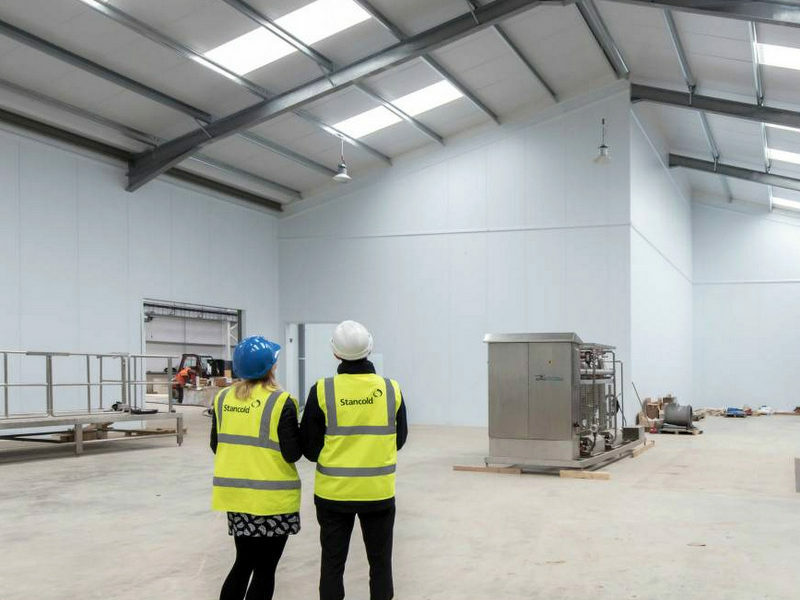 Stancold were appointed by Project Link, food industry construction experts, to assist with the extension and refurbishment of a large fish processing and preparation area for Flying Fish Seafoods in Cornwall. 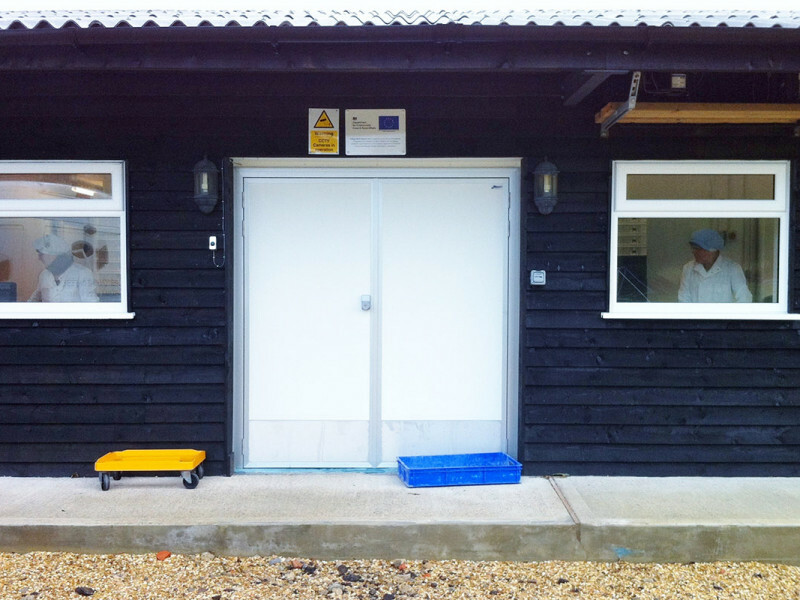 Flying Fish Seafoods are suppliers of high-quality fish to restaurants and hotels all over the South and West of England. 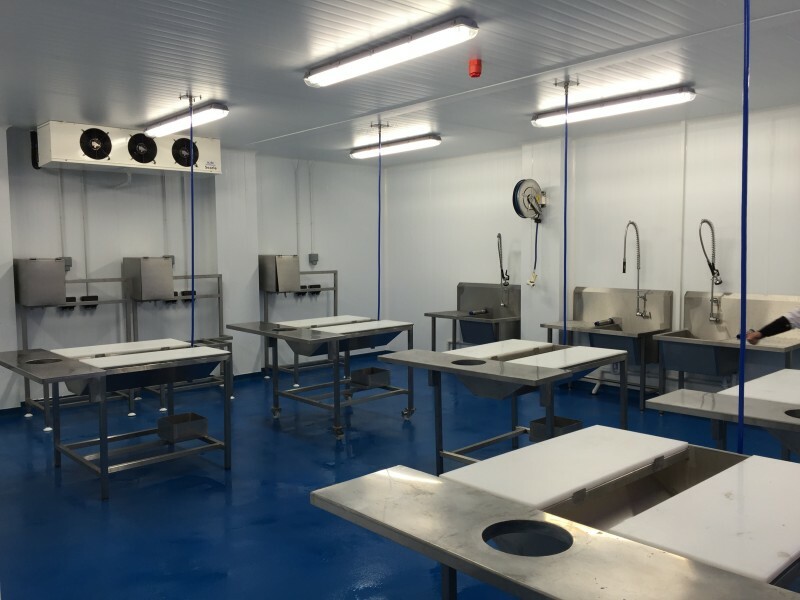 The requirements were over two phases; the first phase was to form a chilled fish preparation area in the newly built extension. 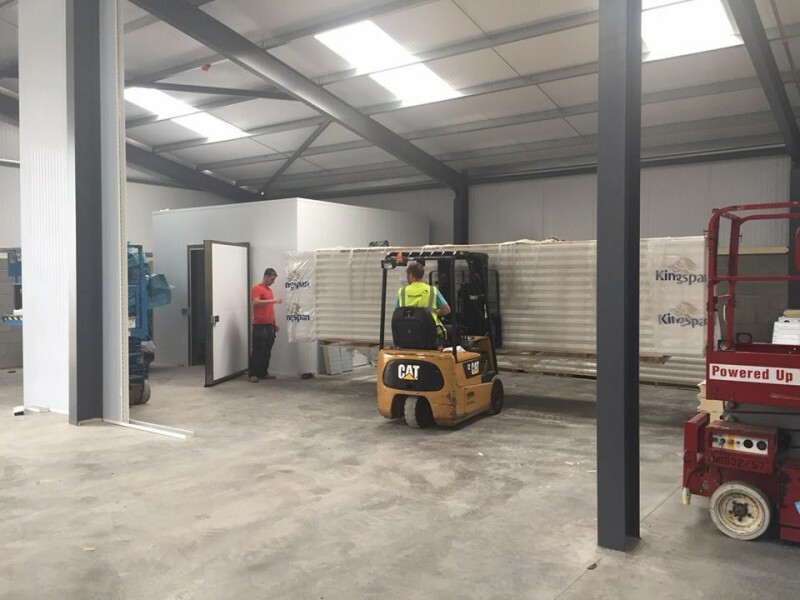 The second phase was to rip out and reinstall a new chill store and processing area linked to the newly built preparation area. 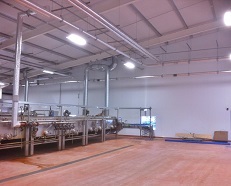 The lobster unit was part of an additional phase added later in the project. 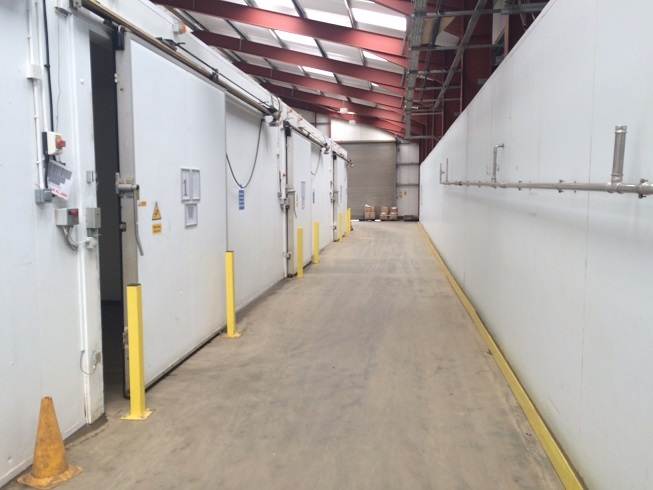 Causing no disruption to production and observing strict site requirements, Stancold worked closely with Project Link over 3 phases to meet tight deadlines. 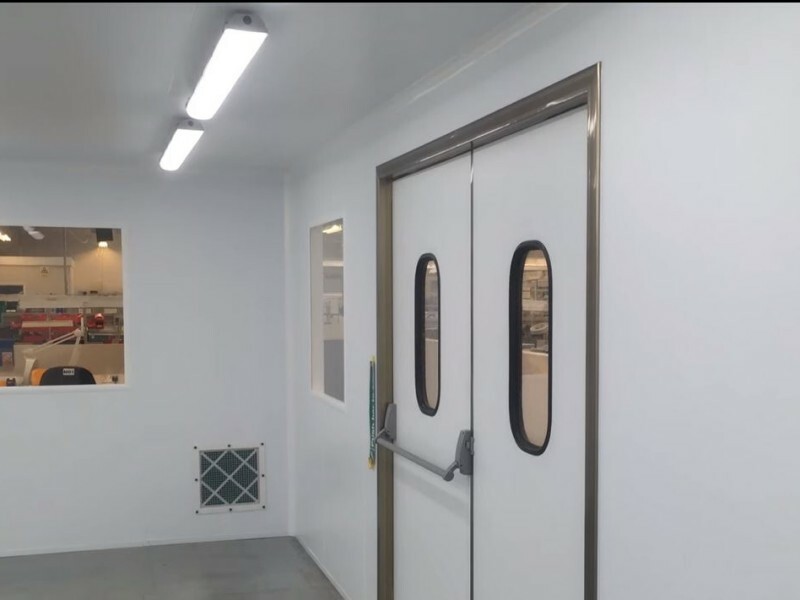 With the creation of suitable temperature-controlled fish processing and a preparation area, this enables Flying Fish Seafoods to grow its product line with lobster. The installers were excellent. Overall, a good experience. 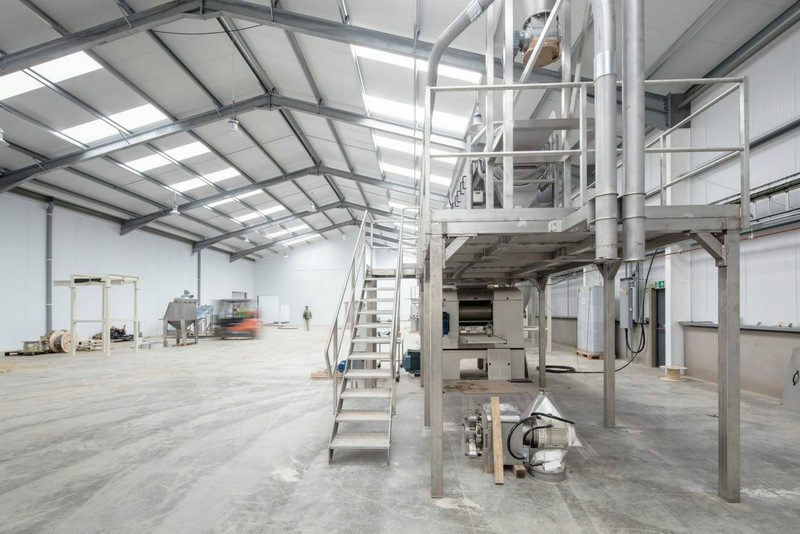 Stancold were appointed to build a new bakery and fit out the production facility for an award-winning family-run bakery in Somerset. 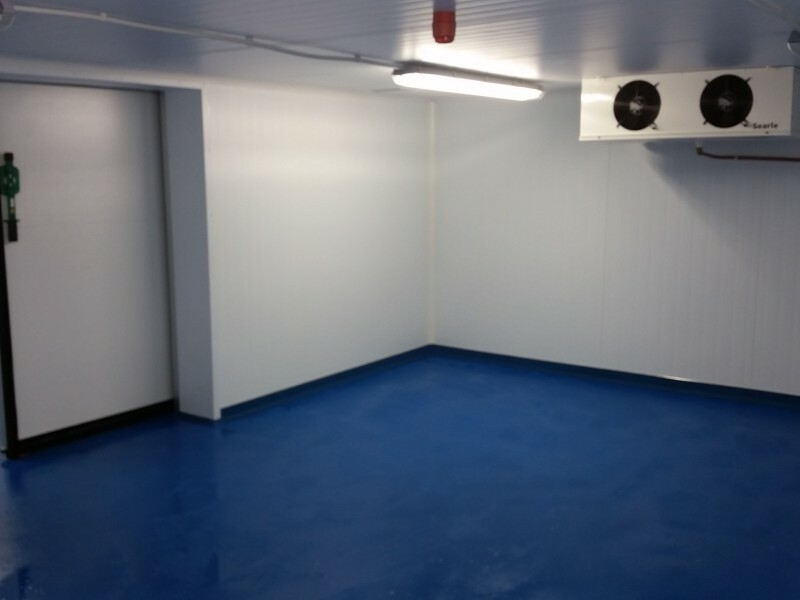 To design and install a walk-in freezer and chiller store, hygienic storage and production areas, changing rooms and stairwell over 2 levels in a newly built bakery. 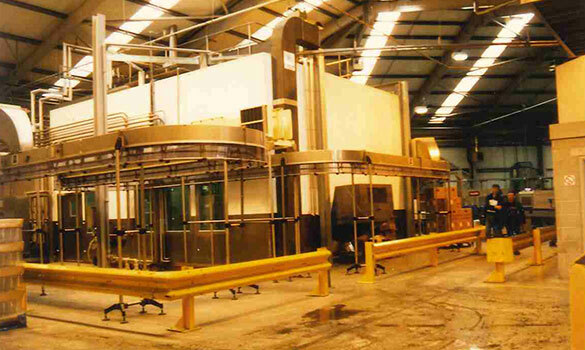 Working closely with the customer to develop the preferred layout design accommodating their production needs. 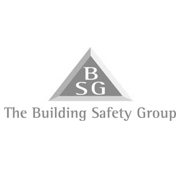 Liaising with builders from the initial stages regarding access, machinery, delivery and lifting of products. 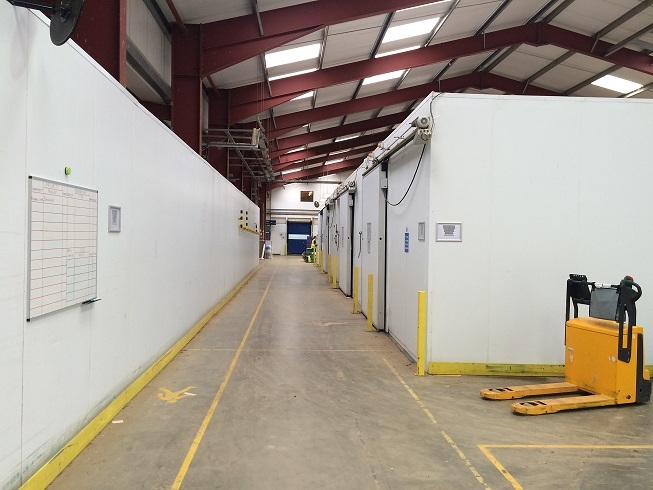 The whole job was very good and completed in the agreed timescale. 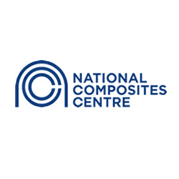 Our client was contacted by a leading manufacturer of conductor and fibre optic cables for the aerospace and defence industries who had the requirement for a new ISO 7 cleanroom. 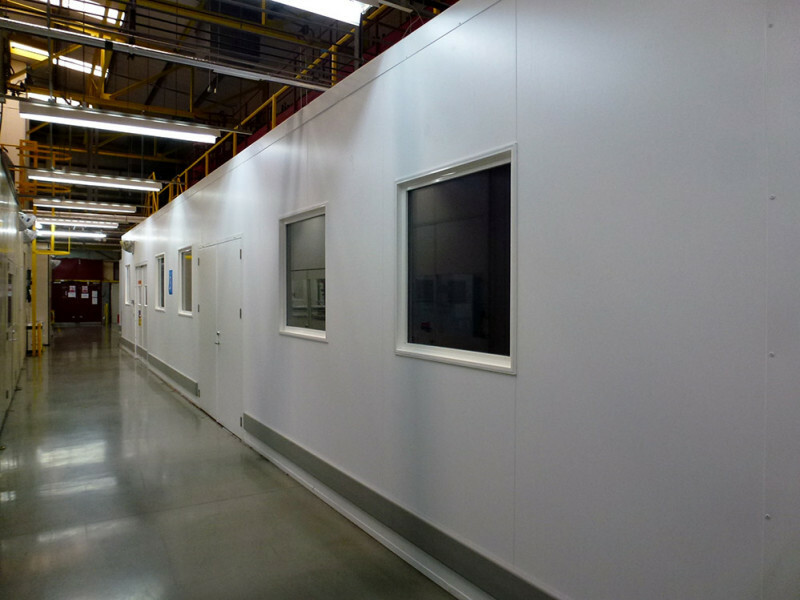 A 90m² footprint self-supporting cleanroom complete with Airlock compartment. 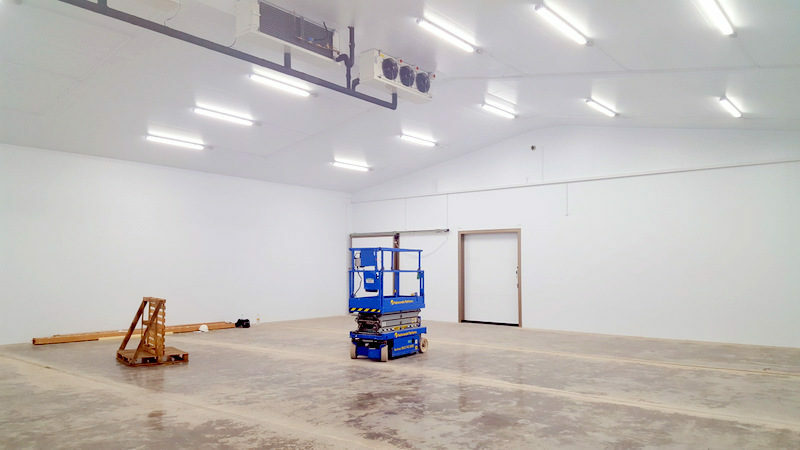 Our client also required the design to perform with multiple ceiling openings to accommodate the lighting and Hepa filters, all built to a tight deadline and in a working laboratory environment. 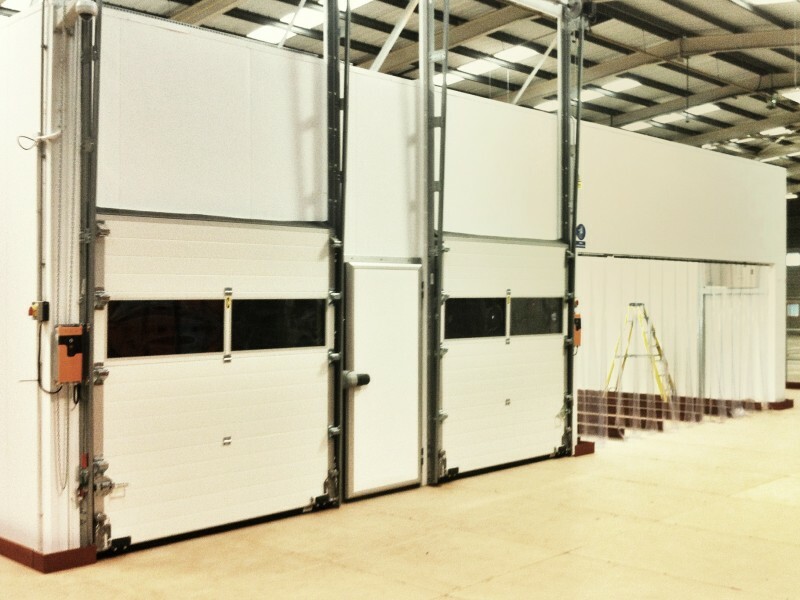 Stancold provided Kingspan insulated wall and ceiling panels, expertly fitted with doors and windows and designed to take the ceiling loads. 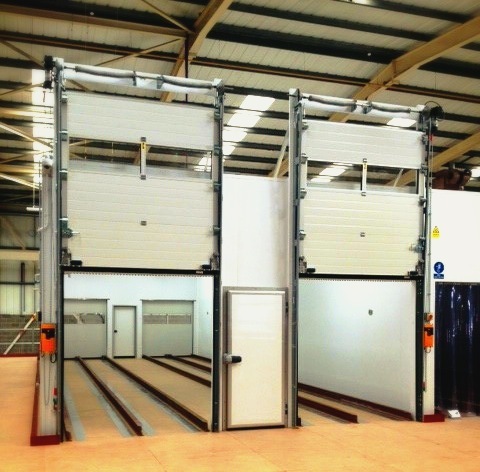 The project required close project management due to the restrictive programme and site conditions; access was tight and limited. 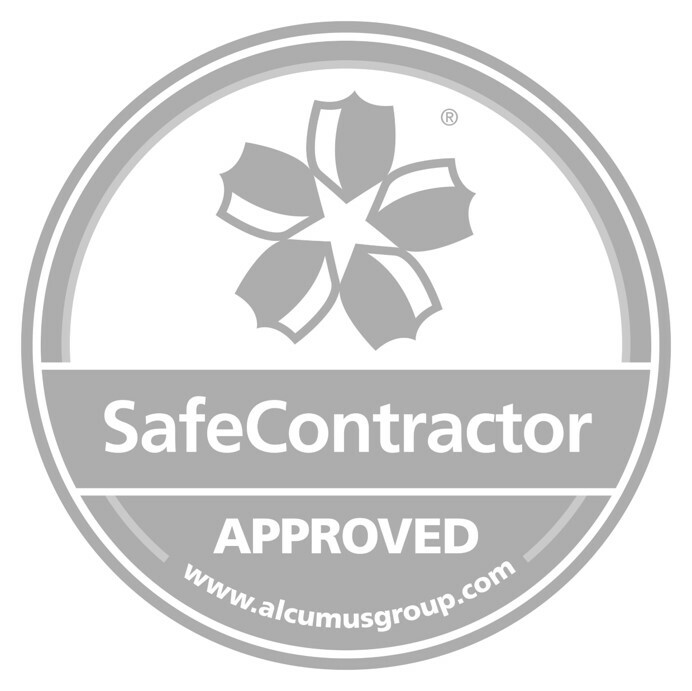 Our experienced team once again rose to the challenge leading to another satisfied client. Watch the project’s timelapse video here. Excellent, a job really well done. 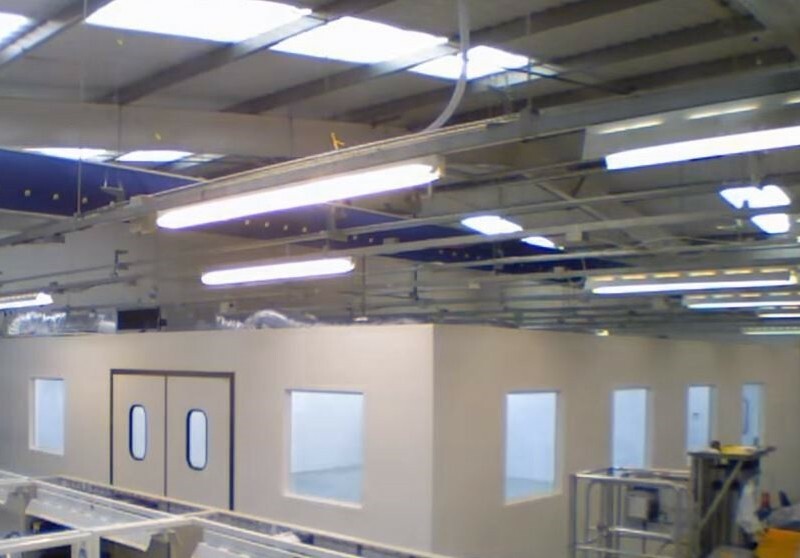 Stancold were approached by a leading abrasive blasting supplier to design and install a shot blast room suitable for surface blasting mechanical equipment. 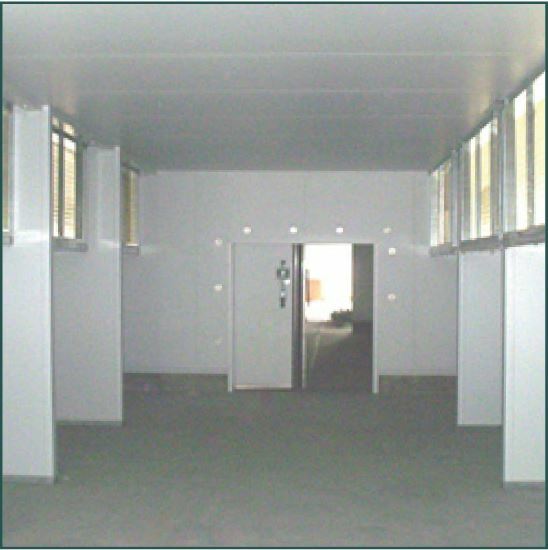 To deliver and install insulated panels forming an 8.08m x 4.66m x 4.58m high booth with self-supporting ceiling mounted to a steel frame. 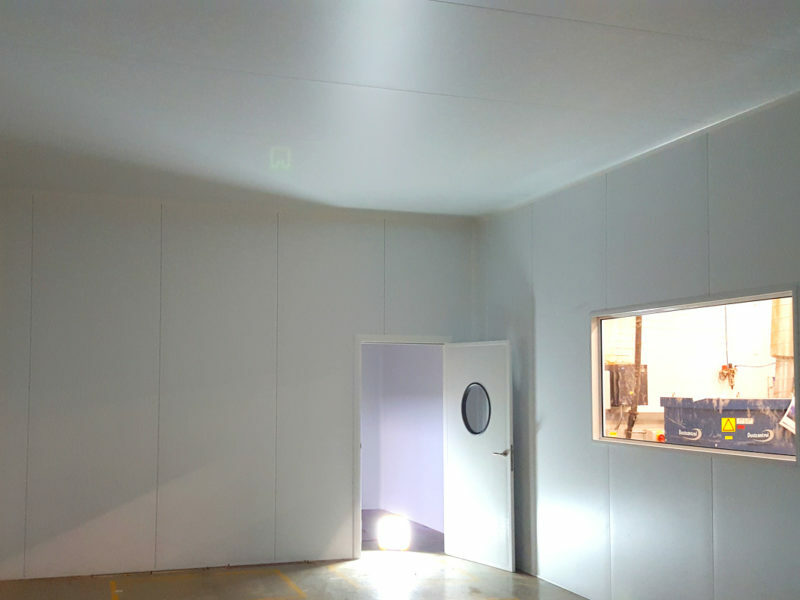 Following a detailed evaluation and taking into account the application, Stancold have created a well-sealed environment using 80mm PIR panels, which combine sturdiness with good acoustic performance containing noise levels associated with shot blasting. The project was completed within 4 days to the client’s full satisfaction. 10 out of 10 across the board. We are very happy with your services. 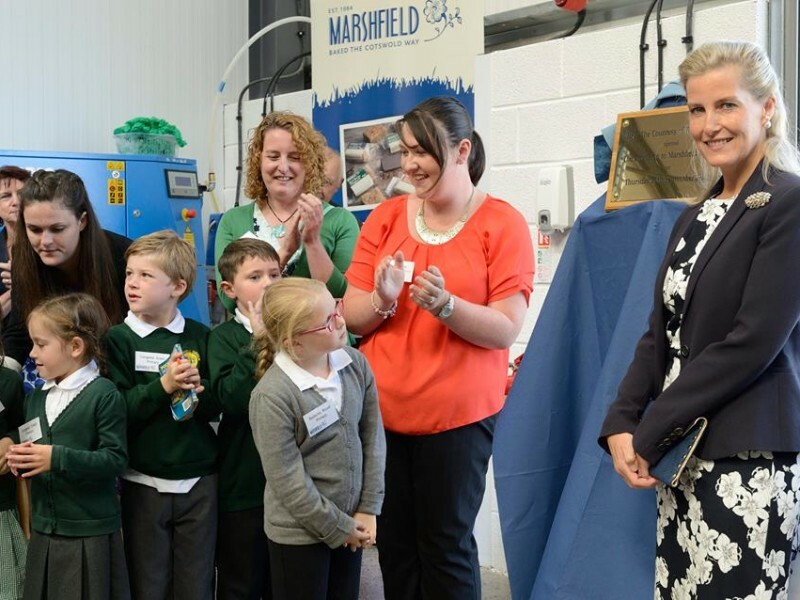 Marshfield Bakery are an award-winning family owned business established in 1984. 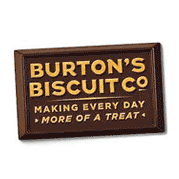 They manufacture over fifteen different flavours of shortbread and flapjack products and a variety of cakes and biscuits. Due to the popularity of their products, they have expanded 3 times over 30 years, most recently in 2015. 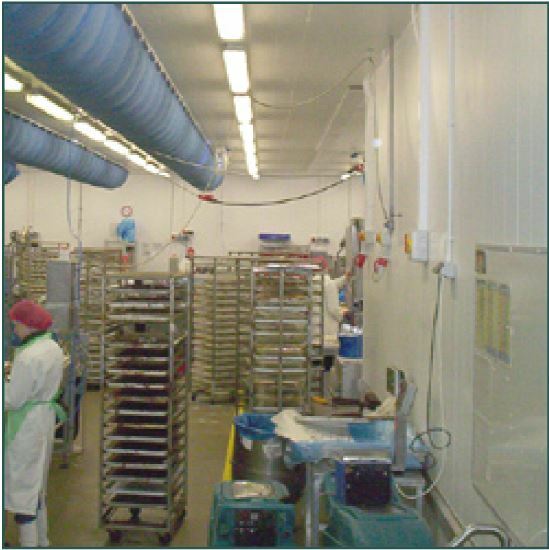 To increase the capacity of Marshfield Bakery’s HQ by creating additional production and storage areas (NPD room, wash room) and a ‘drive in’ chiller. 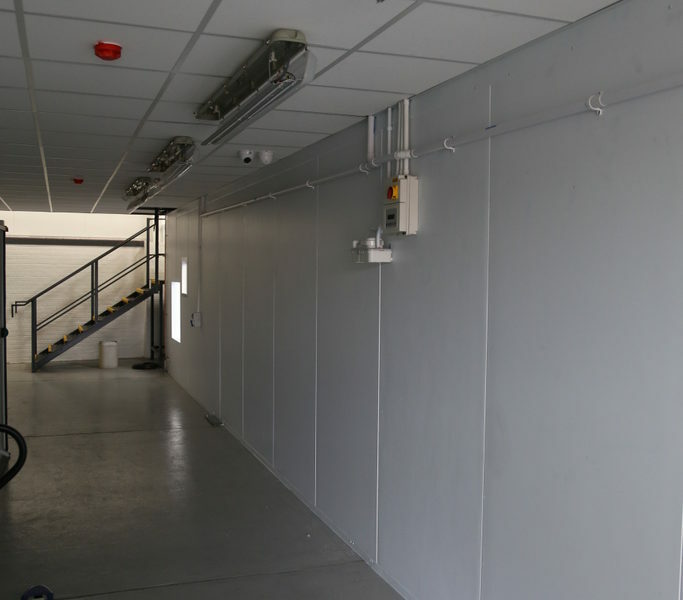 By removing and disposing of old panels, panelling the new extension with food-safe walls and installing a walk-in chiller, Stancold have created the right conditions for the introduction of a new product line. 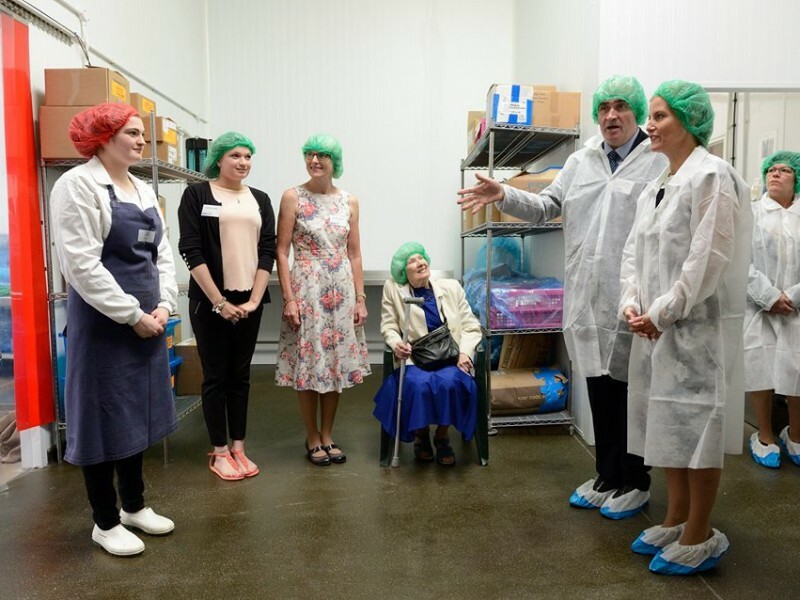 Worthy of a royal visit, the new bakery was officially opened by HRH The Countess of Wessex GCVO on 10 September 2015. You did a brilliant job. We are really pleased with the result. 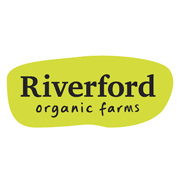 Established in 1986, Riverford Organics is the largest independent producer of organic vegetables in the UK and is currently supplying vegetable boxes to over 40,000 homes per week. 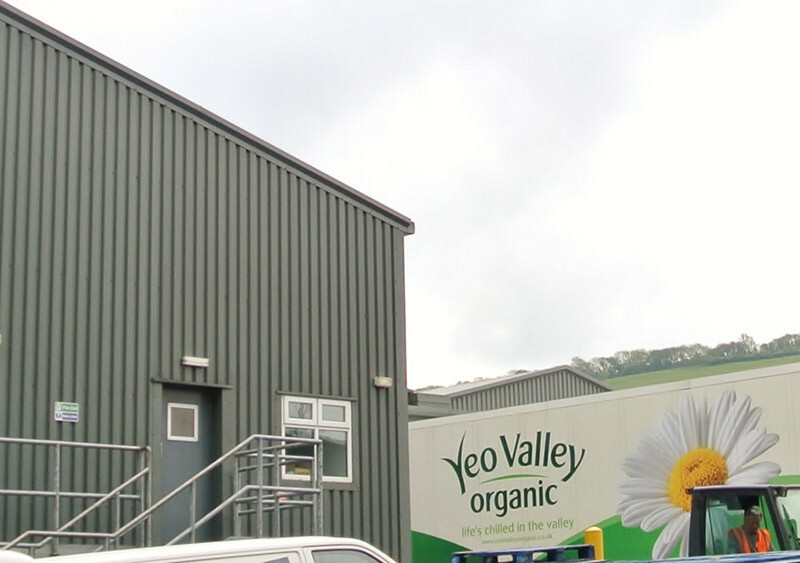 80% of their produce is grown at their main farm and HQ in Buckfastleigh, Devon. 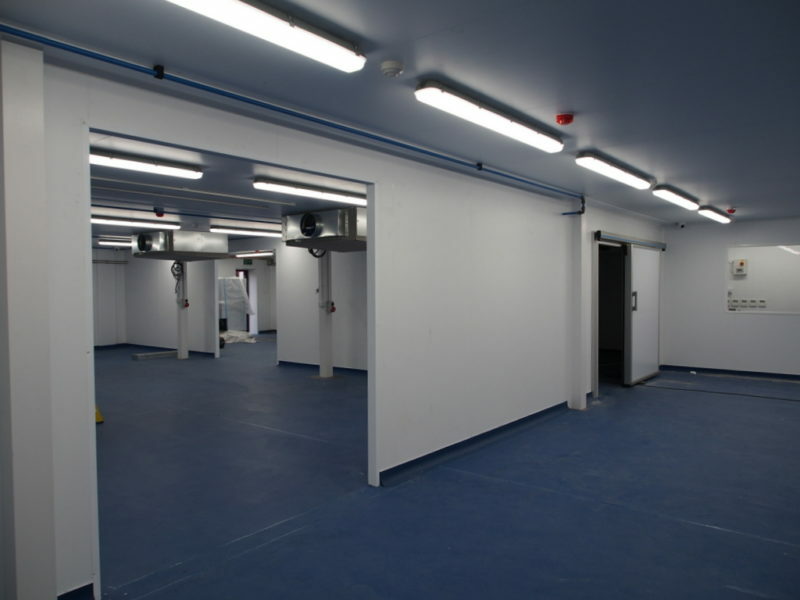 Reconfiguring the site by relocating existing coldstores, extending chiller areas and creating a new hygienic corridor. 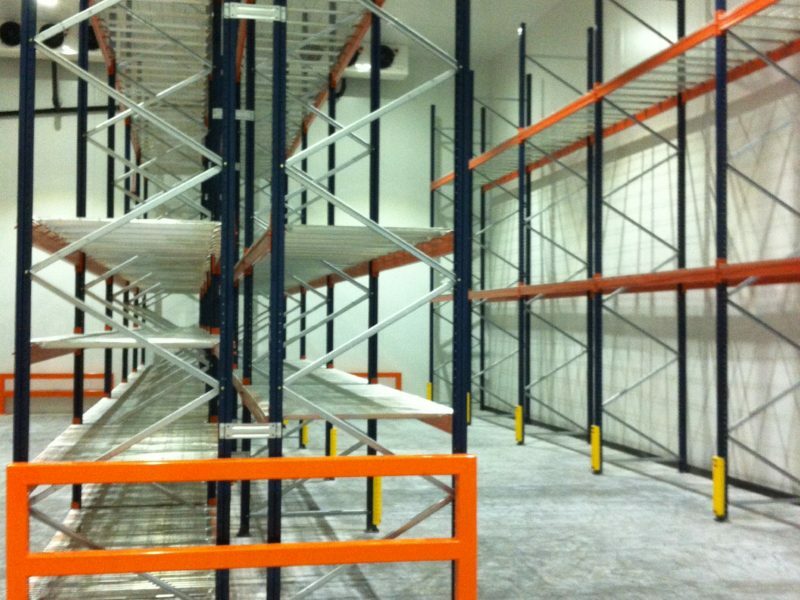 Understanding the client’s requirements fully and accommodating their business needs with a new optimized facility layout. 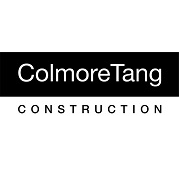 The smooth and timely completion of this project resulted in Stancold being appointed for the second development phase. 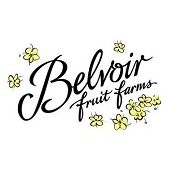 In 2014 due to increased demands for their products, award-winning cordial makers, Belvoir Fruit Farms, have invested into relocating their factory from Bentham to Bottesford. 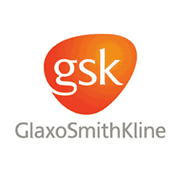 Supply and installation of approx. 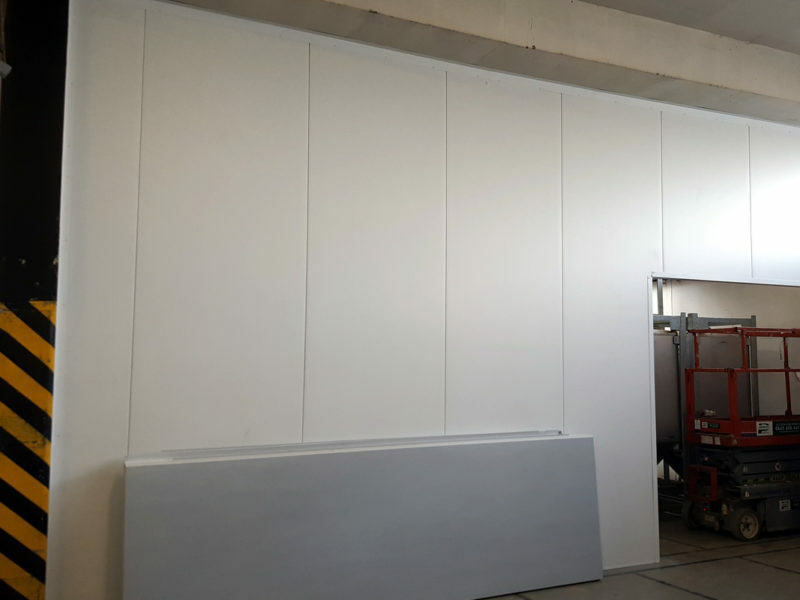 5000m² insulated white food-safe wall and ceiling panels to form a new production area of approx. 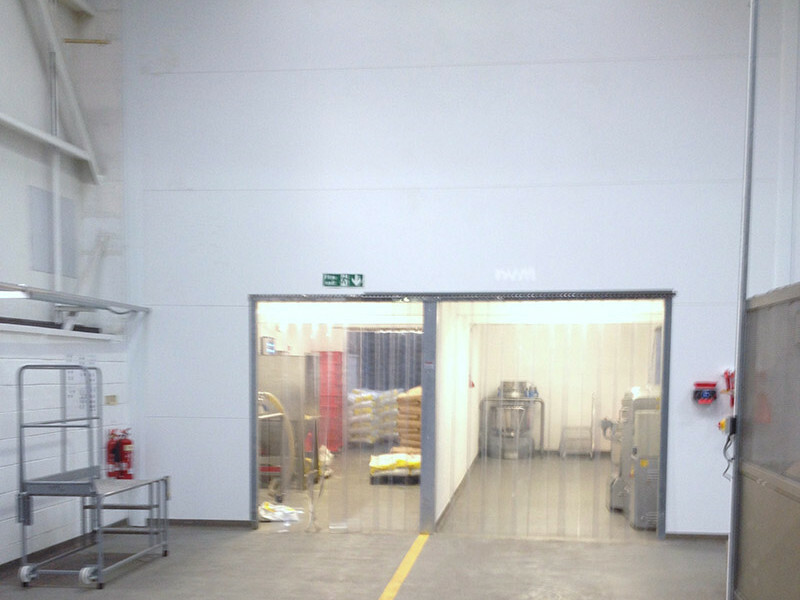 2000m² including fire-rated partition walls, a chiller, hygienic and temperature controlled production and packing areas. 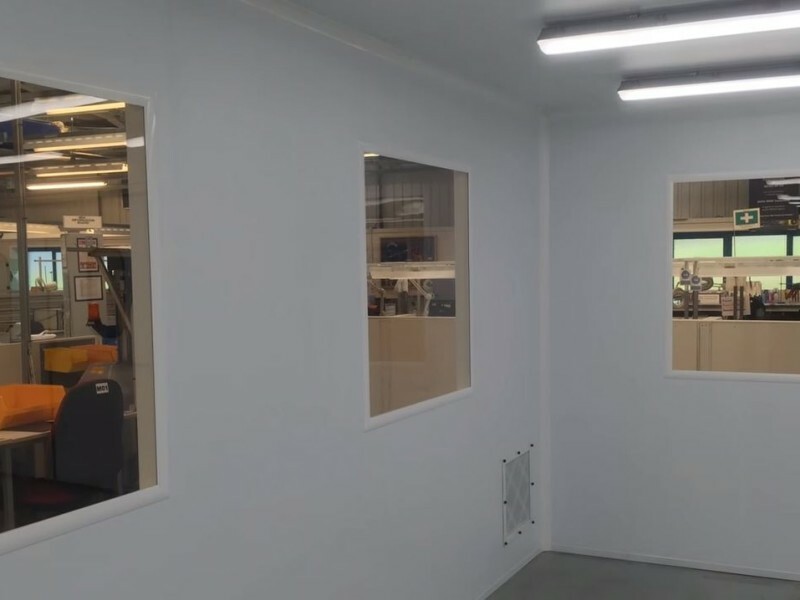 The Stancold team have reconfigured a number of existing buildings to create the right conditions and enable the customer to increase their production capacity. Installation was completed on time and on budget. 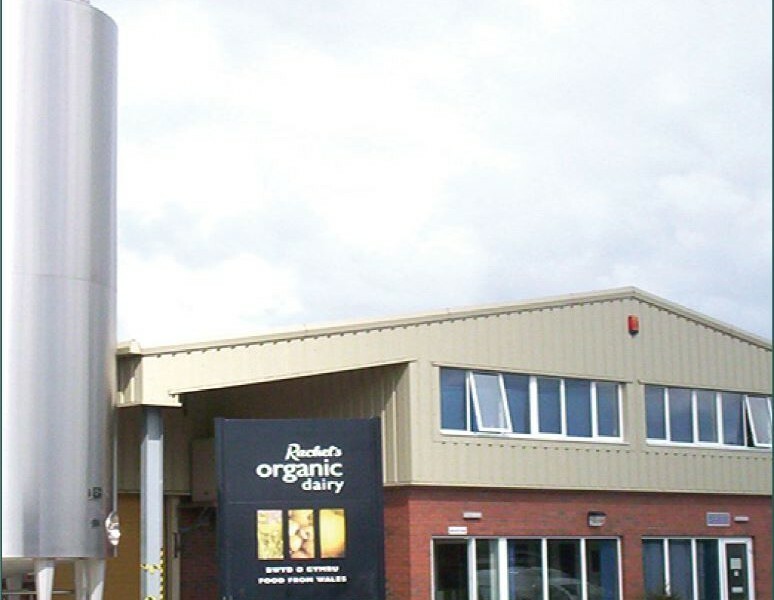 Bath Soft Cheese Ltd, producers of award-winning organic cheeses, are a family run business based at Park Farm in Bath. 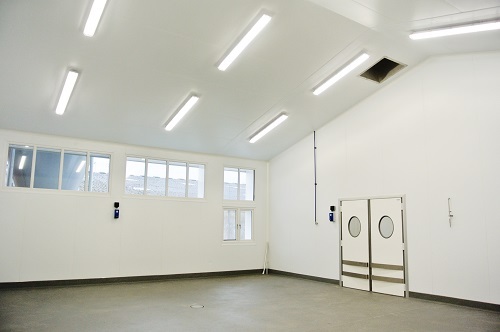 Stancold were awarded for the internal fit-out of Bath Soft Cheese’s new hygienic dairy factory. 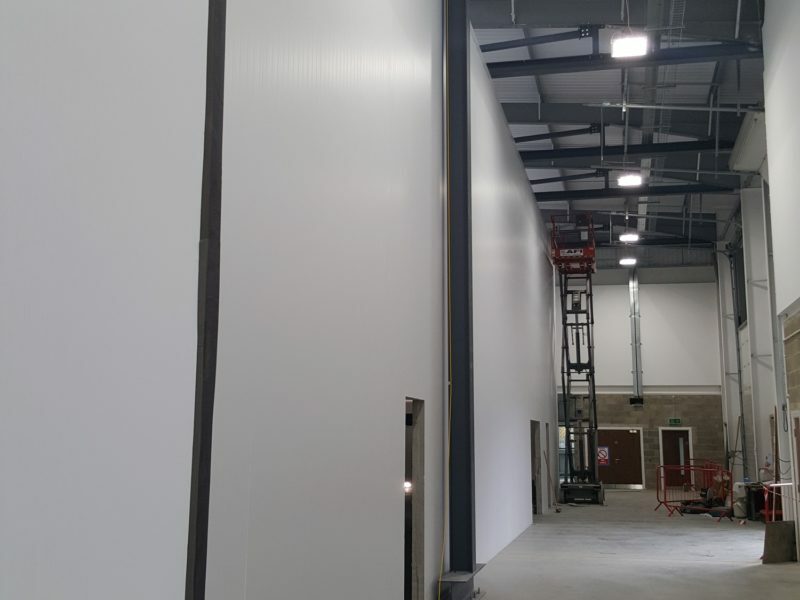 The new building required food-safe walls, suspended ceiling and vision panels, floors, ancillaries, fire stopping and a variety of heavy duty chiller doors, fire rated and swing doors. 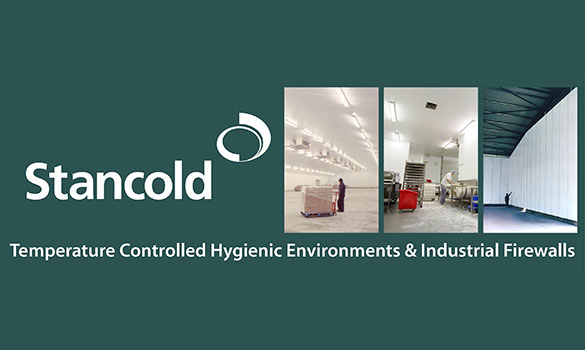 Stancold worked tirelessly with our client to design various temperature-controlled hygienic areas including a number of chillers, cheese washing and make rooms, packing and dispatch areas. 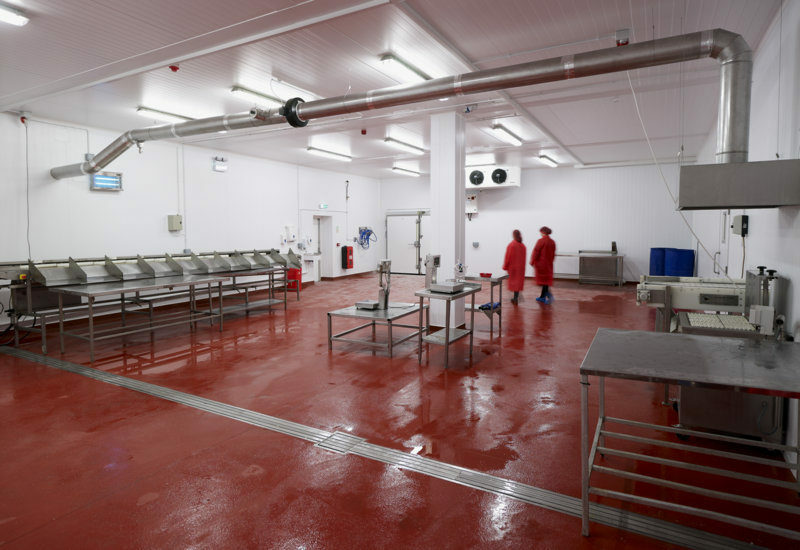 Having carried out a number of hygienic dairy factory extensions in the past, Stancold have demonstrated their expertise in project management, outstanding installation and timely delivery. 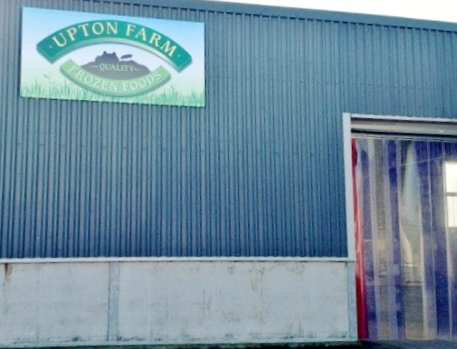 Upton Farm Frozen Foods are an established whole seller based in West Wales providing frozen and fresh local produce for the catering industry. 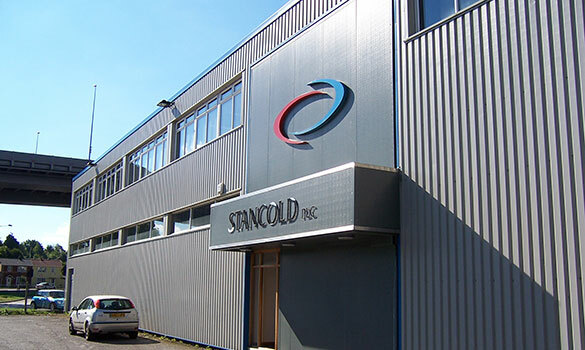 Due to the increased demand for their products, the customer had appointed Stancold to double their existing frozen capacity. 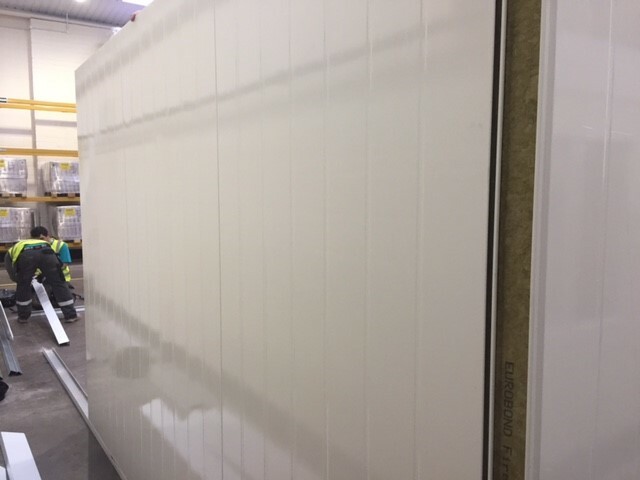 Stancold have supplied and installed Kingspan PIR panels with ancillaries and floors to ensure maximum thermal insulation. Careful phasing of the works were paramount to the success of this project. 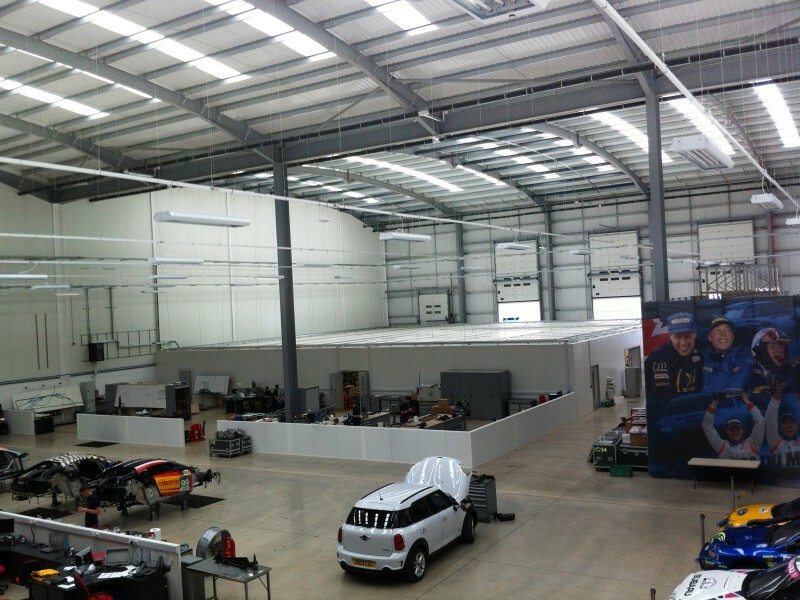 With an existing ceiling to support and concrete floor to match, a cautious and timely approach was essential. 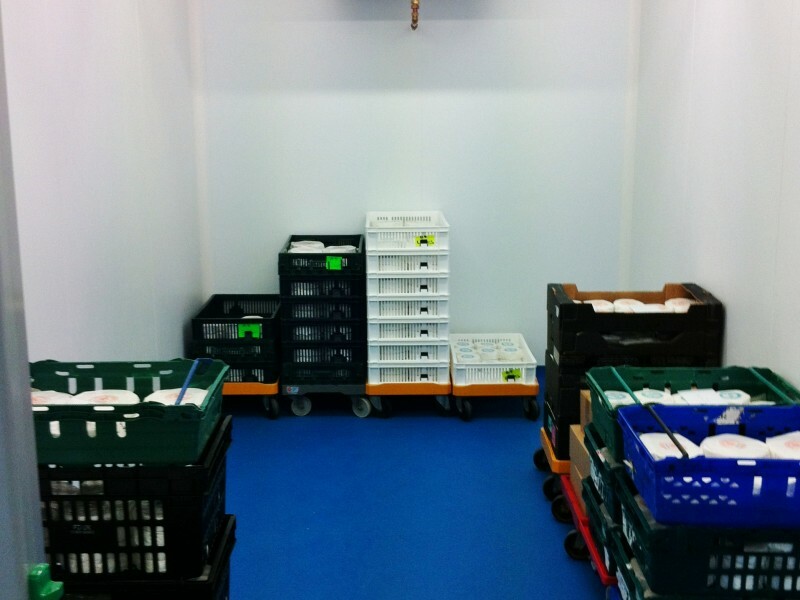 Handing over the new freezer space without delay was mission critical. 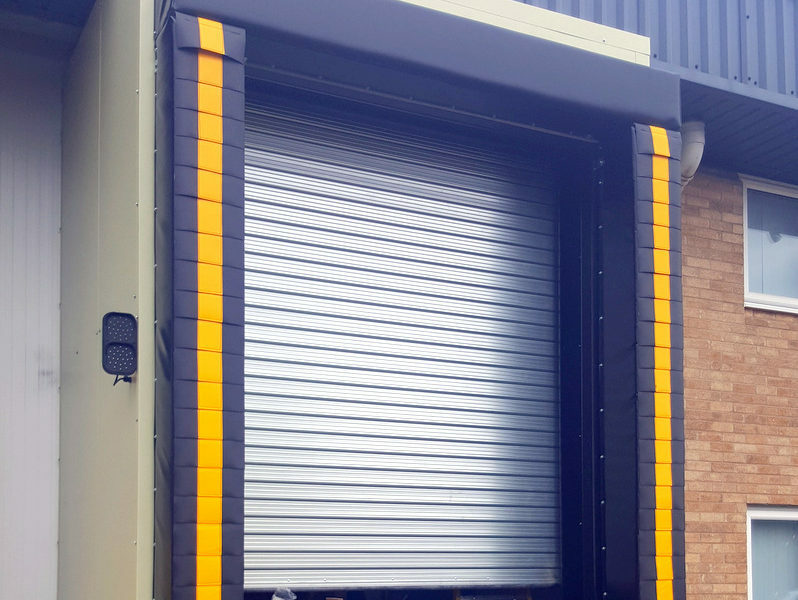 Fortunately, Stancold have considerable experience in this type of work which meant that we could iron out most of the potential issues in the design stage leading to yet another happy customer. The installers were very professional and polite. I was very pleased with the end product. The job went brilliantly. 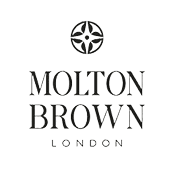 Johnson Matthey are a leading international chemicals and precious metals company headquartered in London. 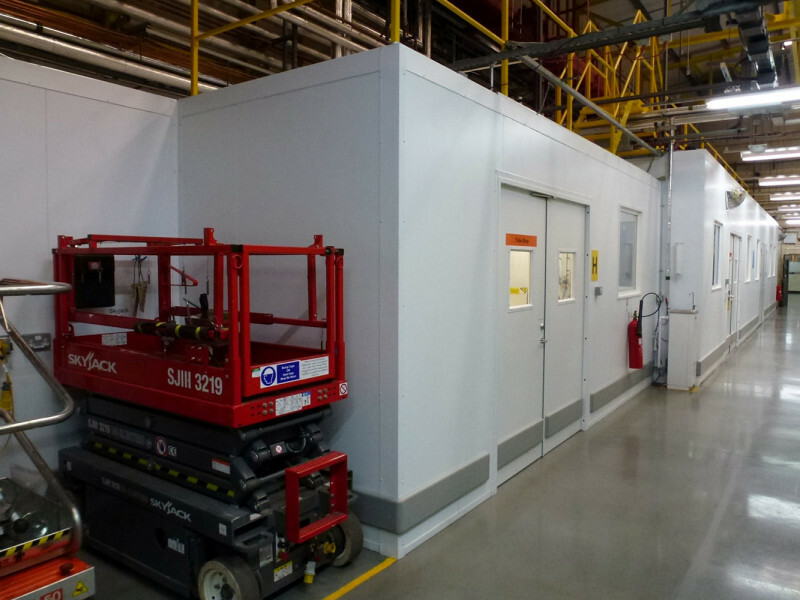 Stancold were contracted to build 2 research laboratories the area of 72m² and 36m², ladder enclosure and suspended ceiling in a high security environment. In the absence of a structural beam, Stancold have created a specialist galvanised angle to suspend the ceiling from. 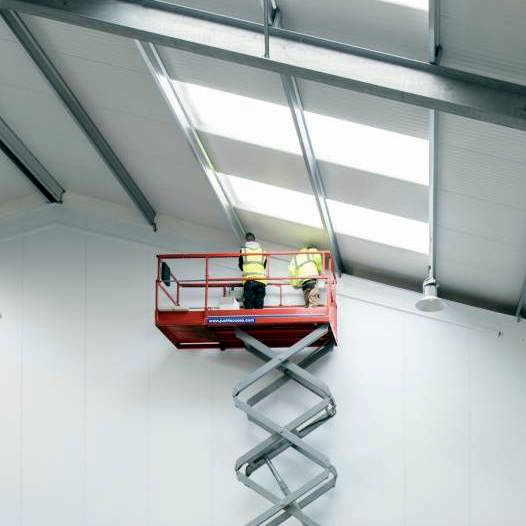 The walk-on ceiling has provided the customer with easy access to their pipework ring main, thus reducing potential downtime in production areas. 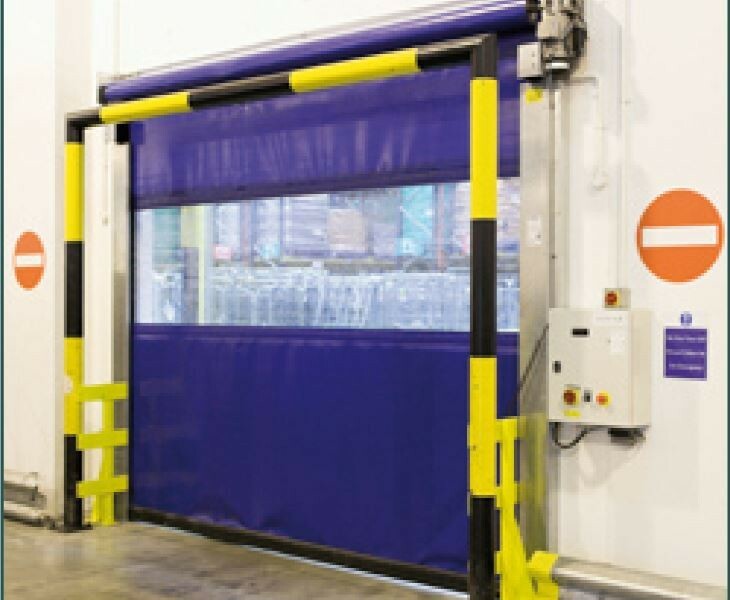 The ladder enclosure has provided excellent dust control which is of particular importance due to the product inspection requirements. I will certainly recommend you and your installation team. 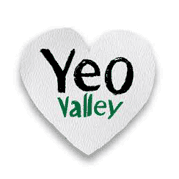 Yeo Valley are a family-run business based in Somerset producing organic dairy products since 1960’s. 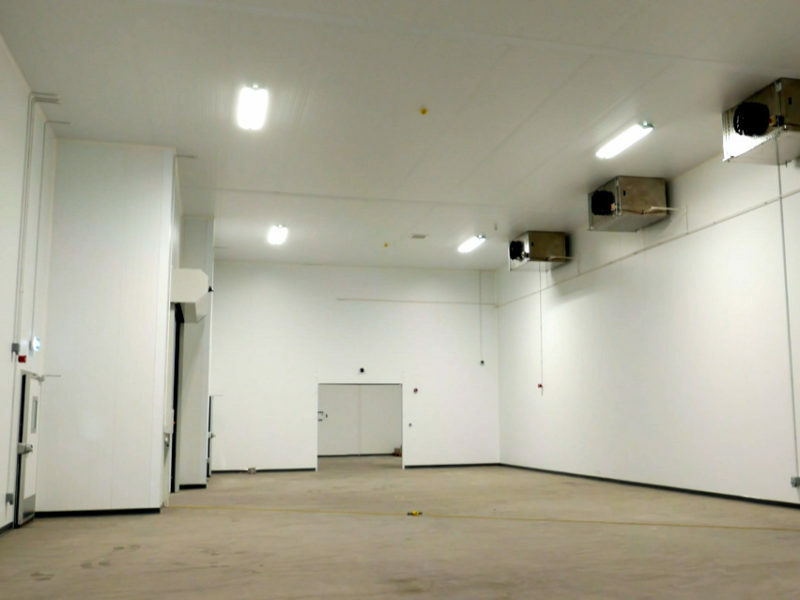 Stancold have expanded the existing dairy production facility with two large 1375m² production areas, hygienic food-safe corridors and a blast chiller area, overlaid by a large 2640 m² self-supporting ceiling. 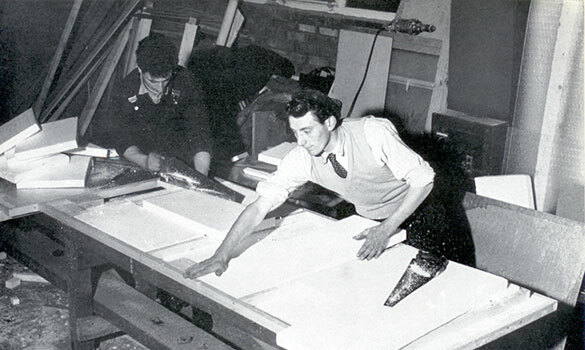 The partition between the existing factory and around the perimeter was 2-hour fire rated wall. From the preliminary design and feasibility stages, Stancold worked closely with the client to ensure all elements of the projects were considered. The project had to be carefully managed as we ‘broke through’ the live factory at several points, all of which we managed with ease. 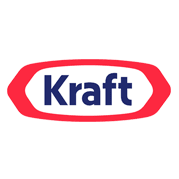 The customer is a family-run business who produce speciality cheese for more than 25 years, using 100% sheep’s and cow’s milk and no artificial additives. 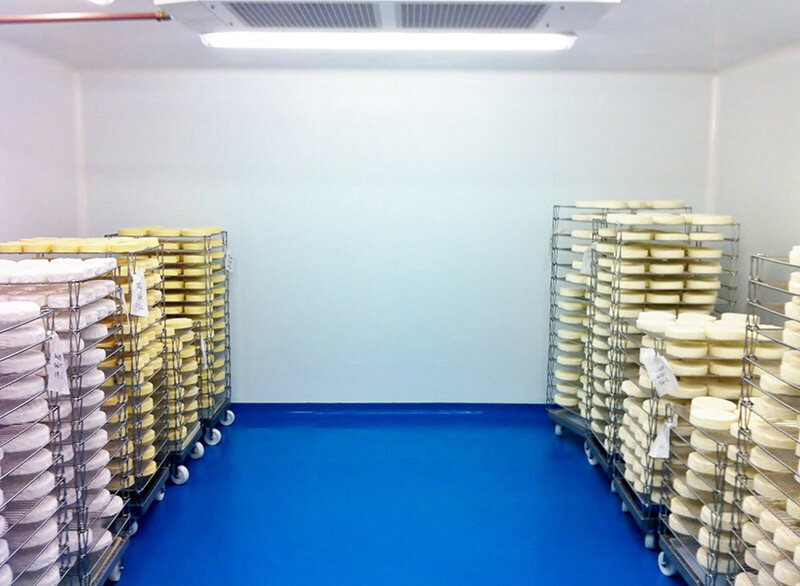 Stancold has redeveloped the entire cheese production facility and built the following key areas: wash up room, maturing room, cold room, wrapping / packing area. 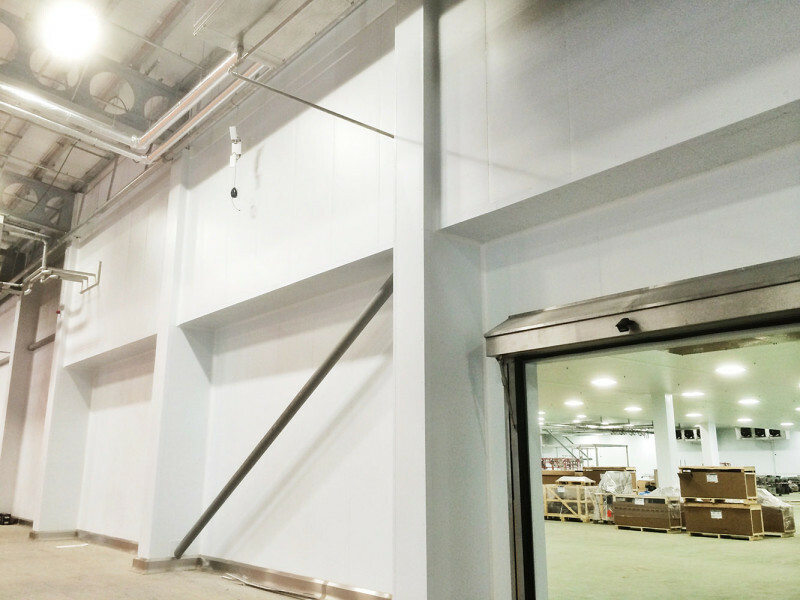 Stancold delivered the project to a tight deadline and showed flexibility towards work schedules as simultaneously there were other structural works carried out on site. The installation was finished on time. 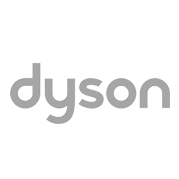 Ocado are a UK based online supermarket and the largest online food retailer in the world. 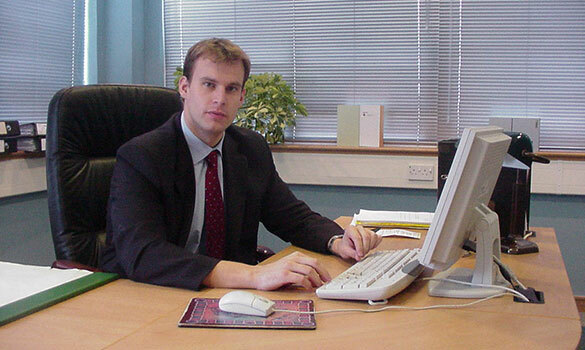 Ocado was launched in January 2000 and started trading in partnership with Waitrose in January 2002. 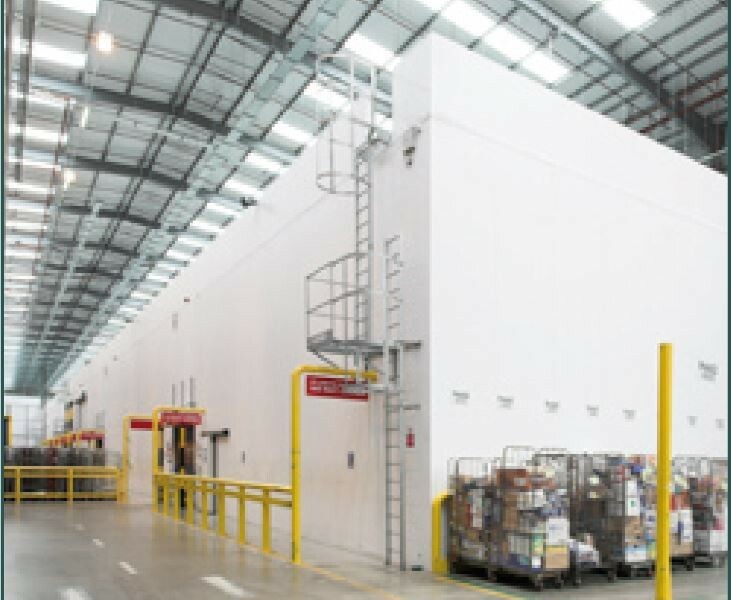 Ocado delivered more than twenty-seven million orders since its launch in 2002 and has an average of 18,000 orders delivered every day. 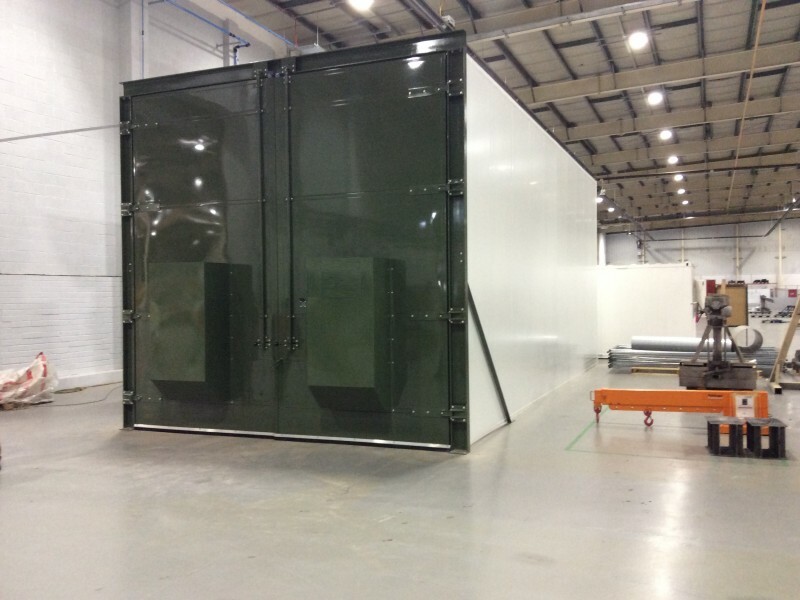 To design and install a produce and product transfer chiller the size of circa 1000 m³ for Ocado in North London. 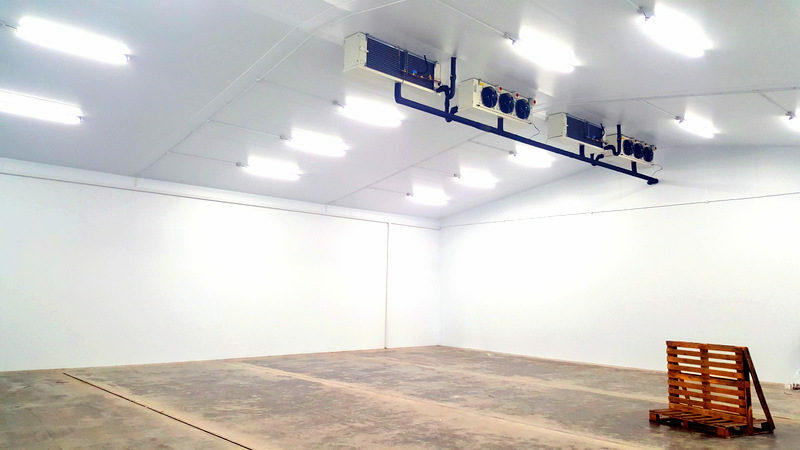 The room has two compartments: a chilled and an ambient area ideal for storing perishable and non-perishable goods. 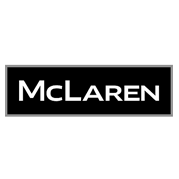 A well-known online supermarket service devoted to making their customers’ lives easier and offering the highest standards of service. 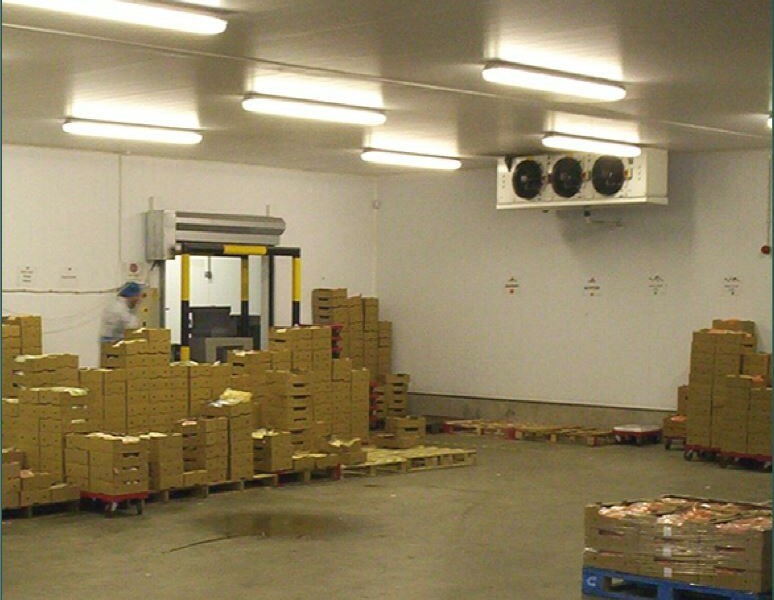 Design, supply and install a new hygienic food-safe chilled facility for food packaging and distribution, plus refurbishment of many existing ceilings and insulated panel wall. 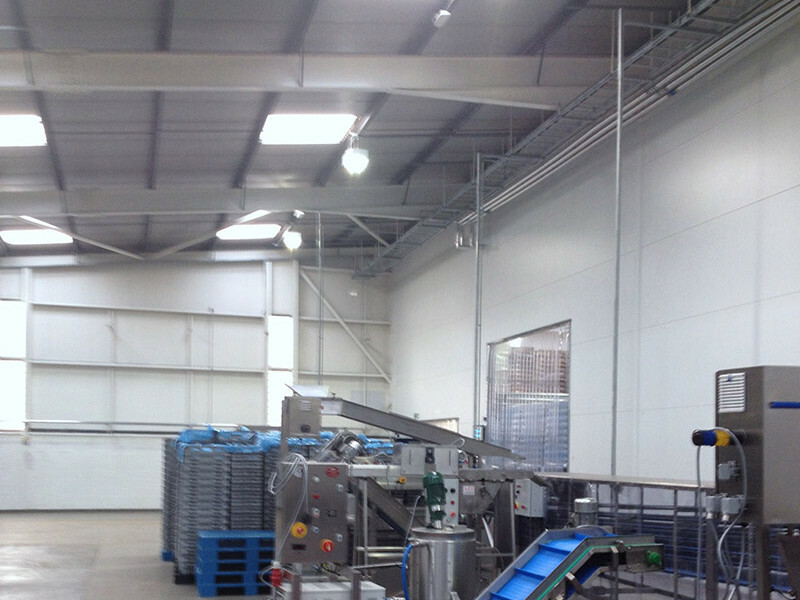 Interbrew, part of the InBev Group, employs over 3,500 people operating across five breweries in the UK. 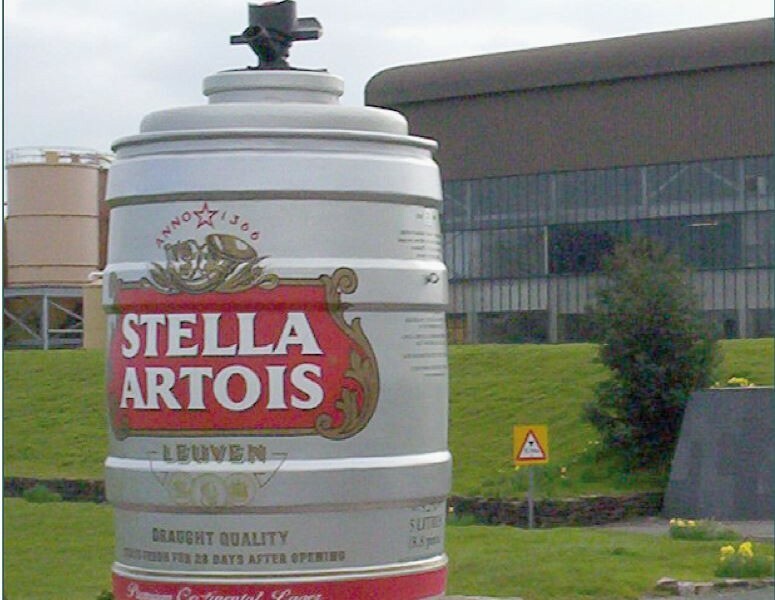 The Magor Brewery is responsible for production, processing and bottling of Stella Artois, one of the most award-winning brands in the history of the alcohol industry. 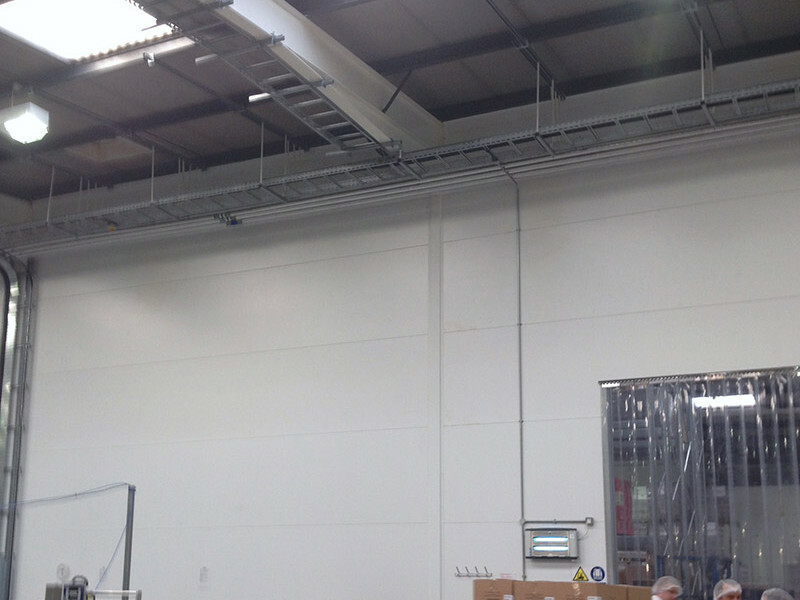 The design, supply and installation of composite insulated panels to form a hygienic bottling facility for the beer brand. The Co-op, part of the Co-operative Group, operates nearly 1,800 food stores and are the UK leader in top-up food. 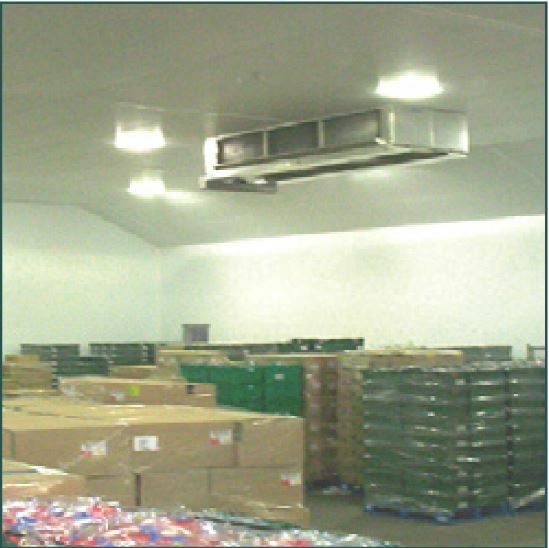 Build chilled, ambient and freezer areas for its new regional distribution centre for perishable foods. Office areas and a plant room were also needed. 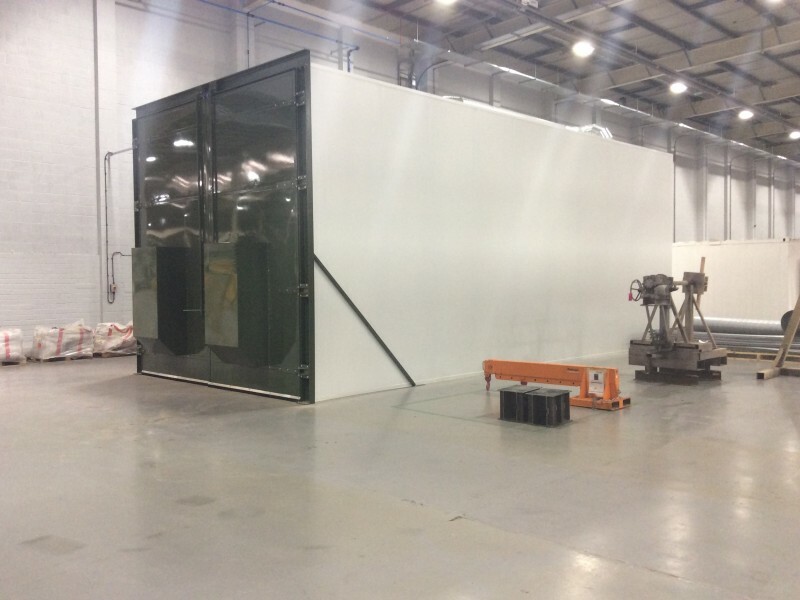 The project included design, supply and installation of composite insulated panels. 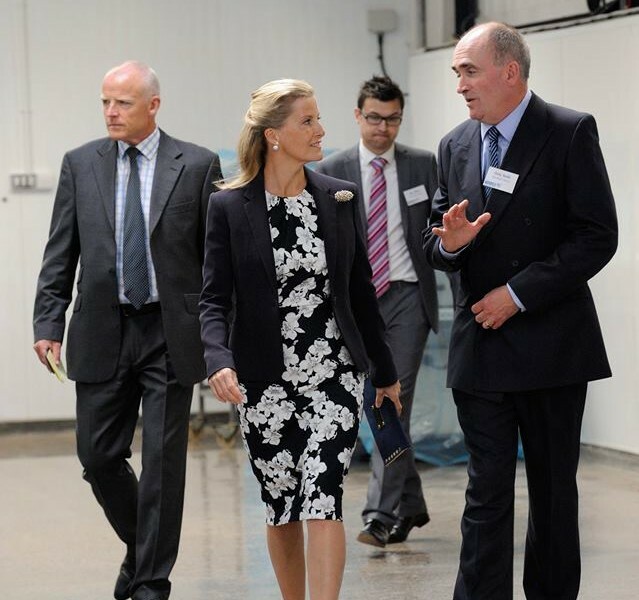 Sussex-based Natures Way specialise in the growing, procurement and manufacture of prepared salads. 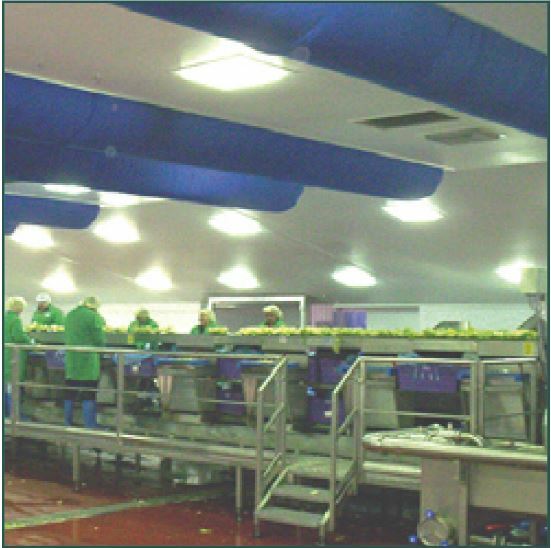 The company supply over 14 billion salad leaves per year to retailers including Tesco and McDonalds. 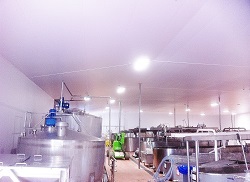 Use composite insulated panels to create a hygienic food production facility, including a number of chill and coldrooms. 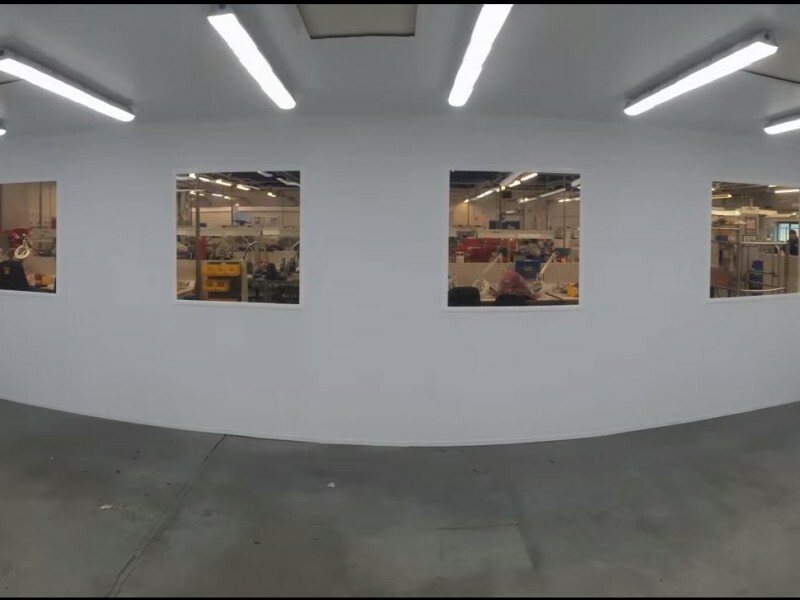 The project included design, supply and installation. 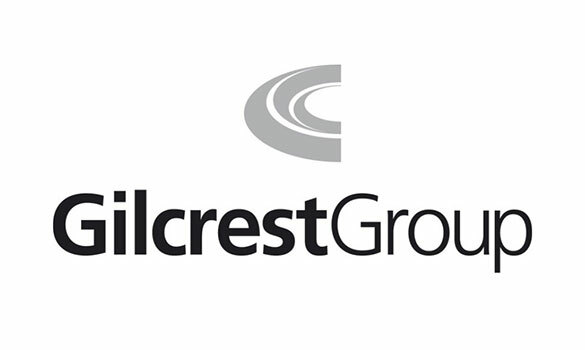 Acquired by Geest in late 2000, Isleport Foods forms part of the company’s Prepared Foods Business Division. 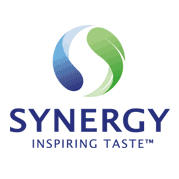 The food processing facility’s 150 employees, based at Highbridge in Somerset, produce premium desserts. 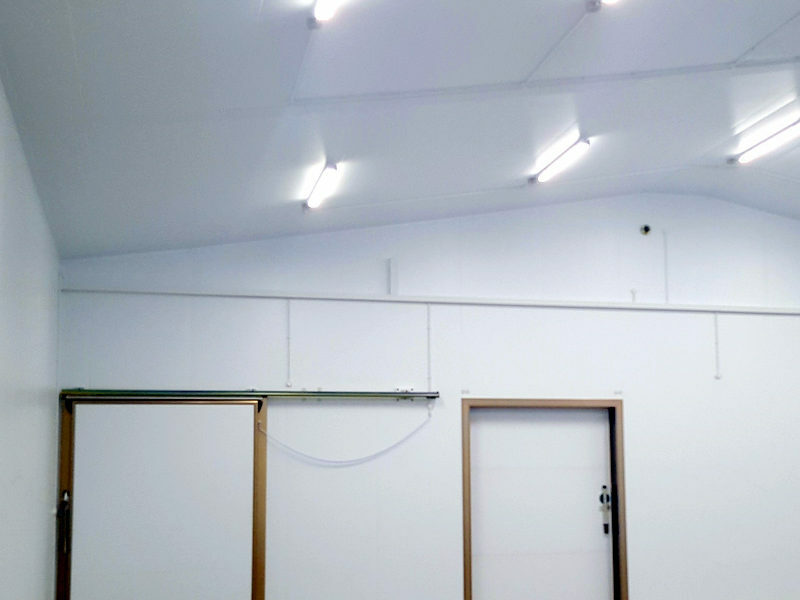 The design, supply and installation of composite insulated panels to form a modern food production facility including a number of cold, chill and hygienic environments. One of the world’s largest logistics organisations, Kuehne + Nagel, employs more than 42,000 people at 750 locations in 100 countries. 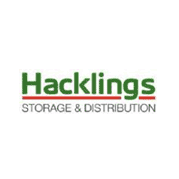 Kuehne + Nagel Drinks Logistics is a newly formed and wholly owned business within the group, providing a national platform for the distribution of drinks, alcohol and associated services to retail outlets across the UK. 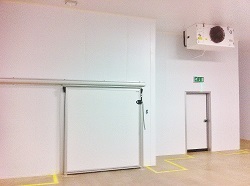 Supply and installation of PIR panels to form beer distribution centres that included a requirement for refrigeration.